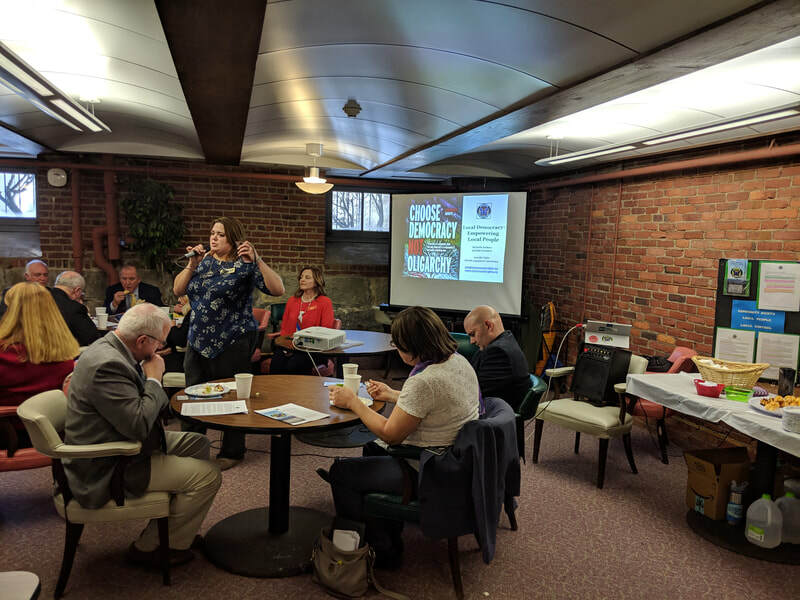 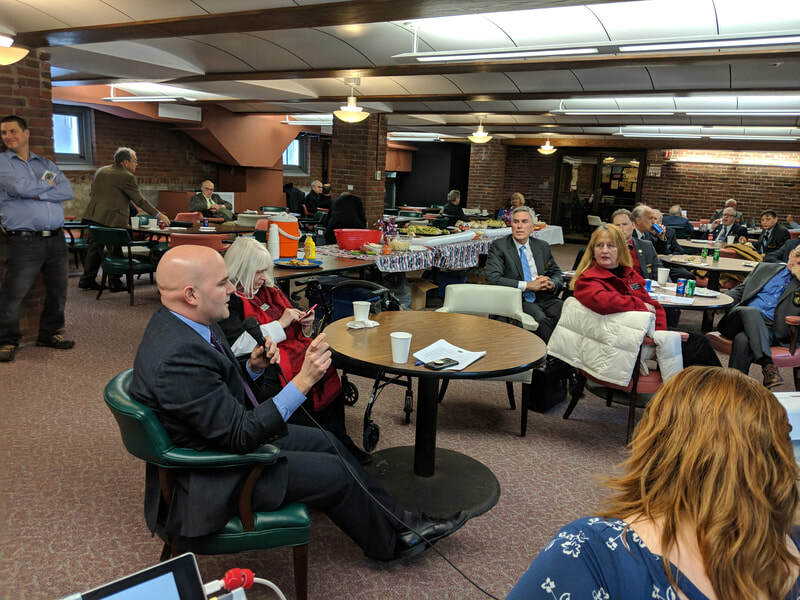 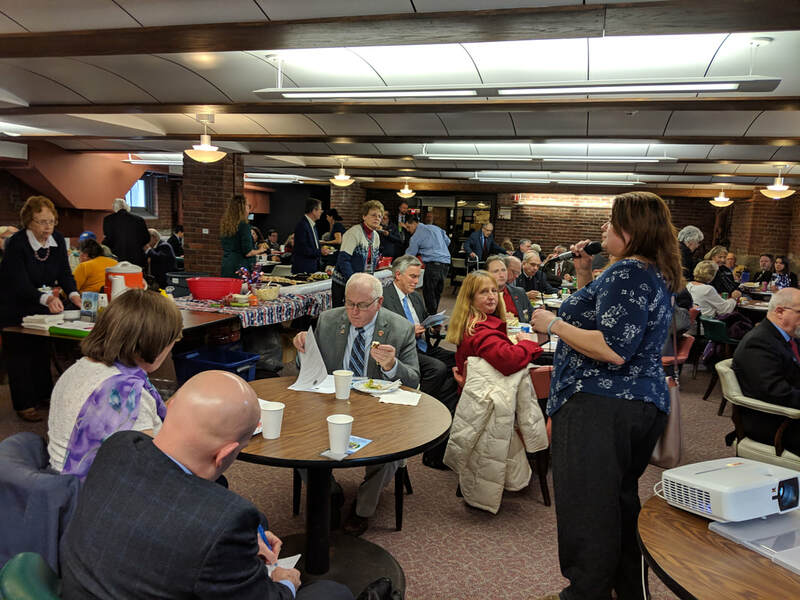 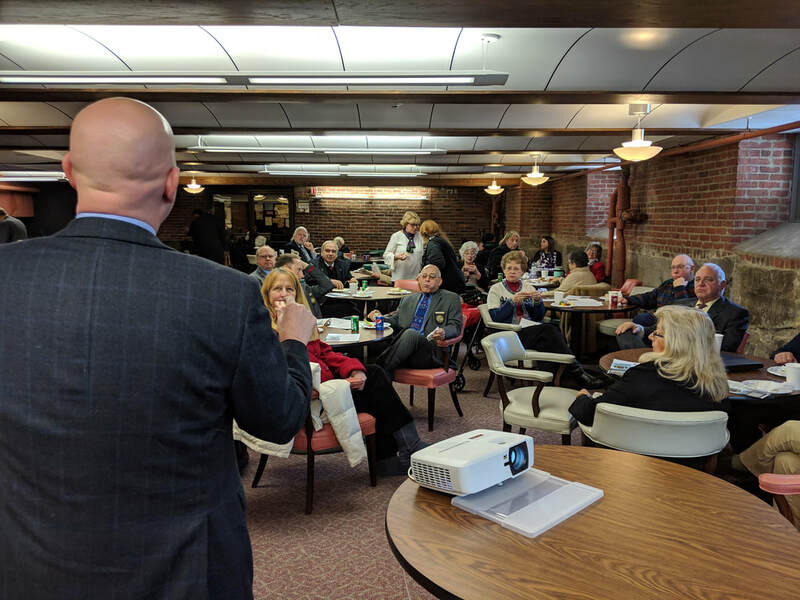 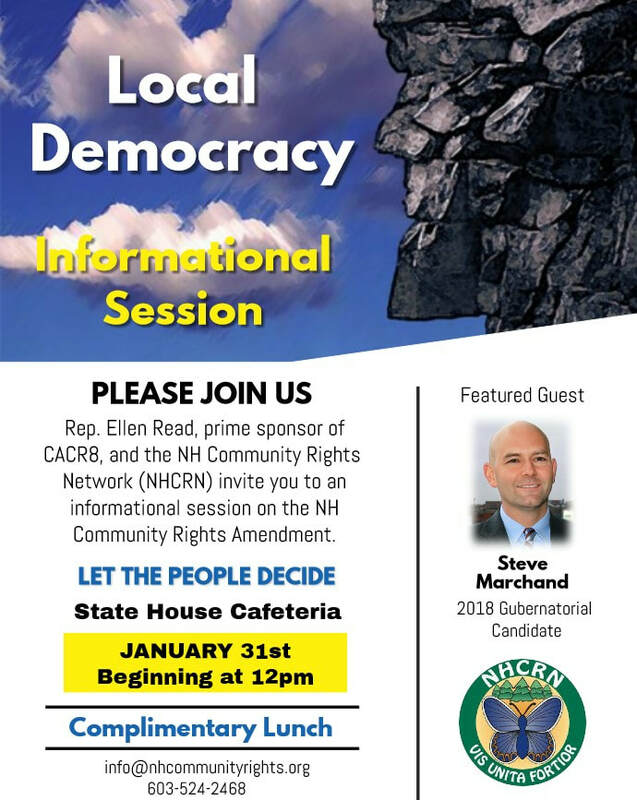 The NHCRN hosted a Local Democracy informational luncheon on CACR8 with prime sponsor, Rep. Ellen Read and 2018 Gubernatorial candidate, Steve Marchand to engage NH Reps on why we must amend the NH Constitution in order to protect local decision-making authority. 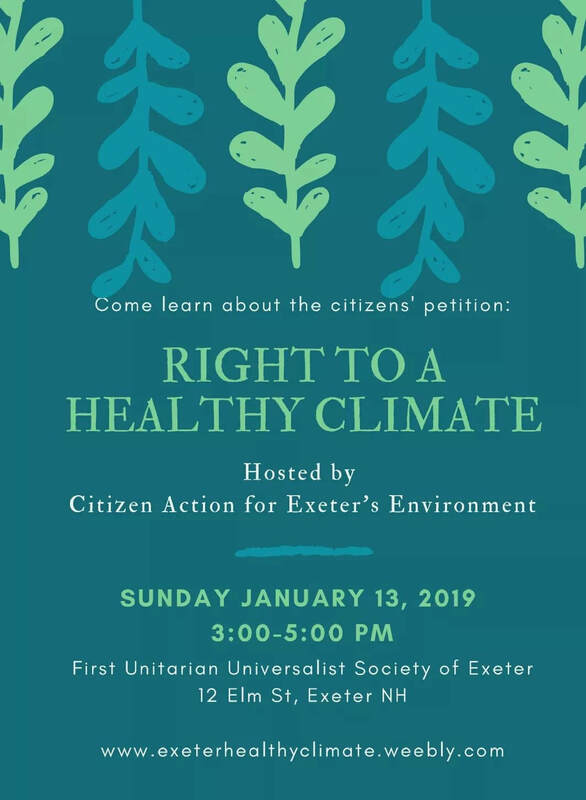 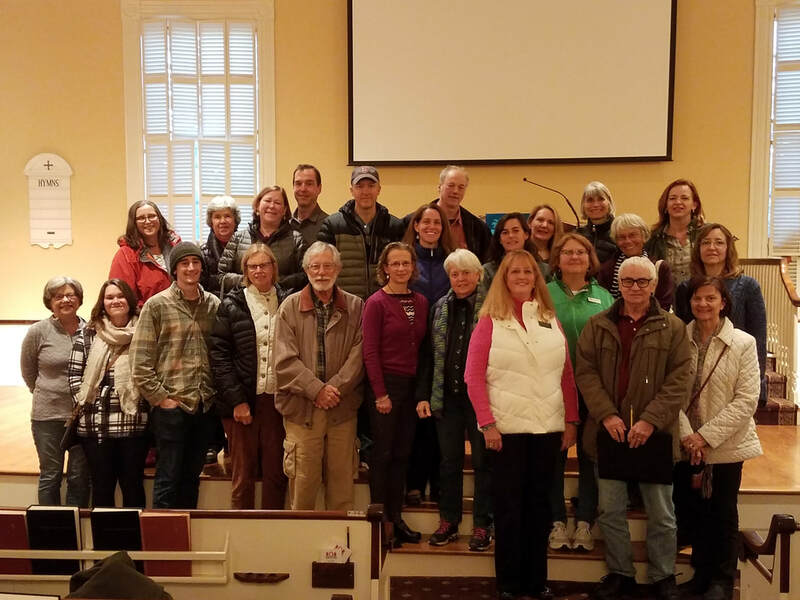 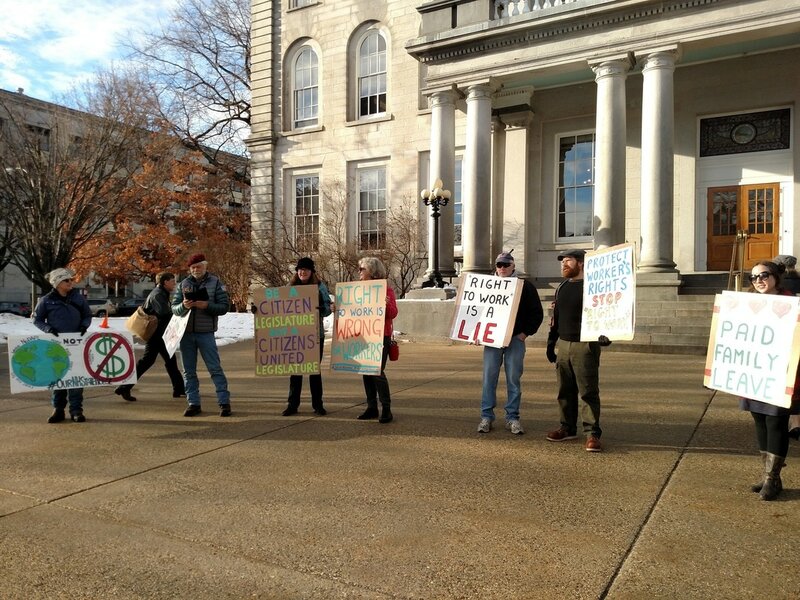 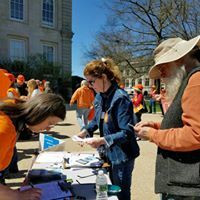 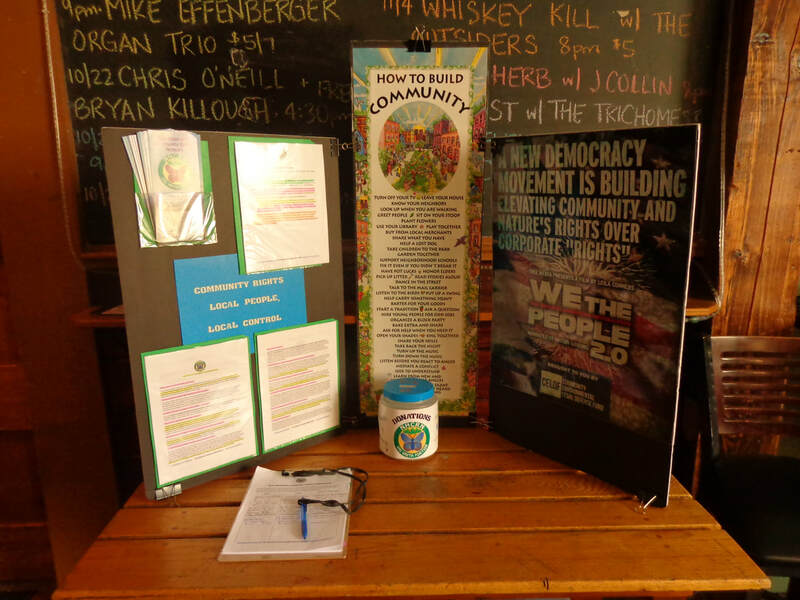 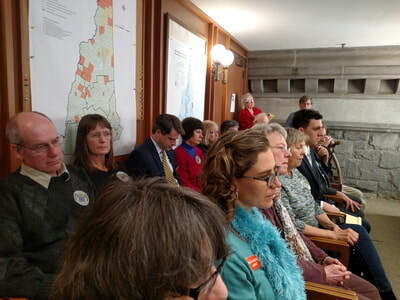 Exeter residents are engaged in local rights-based lawmaking to secure the right to a healthy planet for Exeter's human and natural communities. 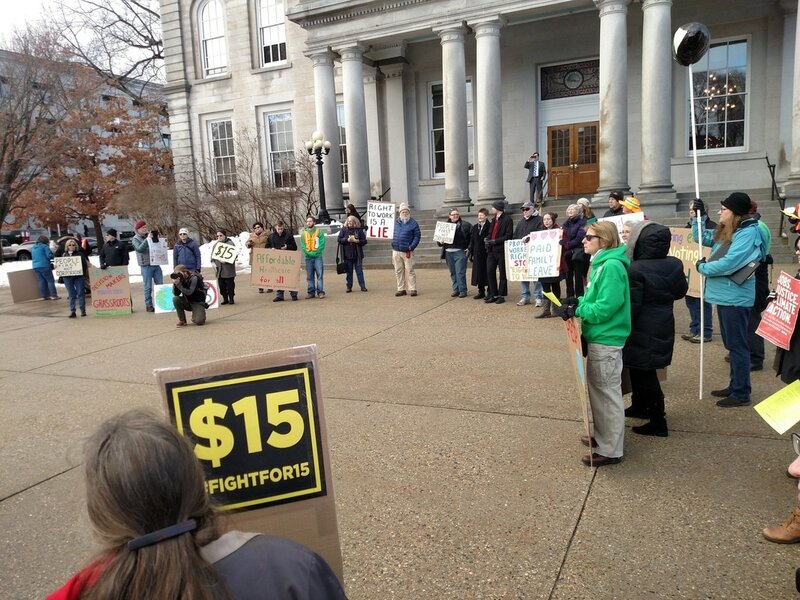 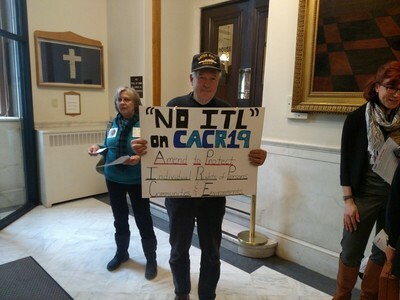 This is the kind of local lawmaking that the NH Community Rights Amendment - CACR 8 - would secure! 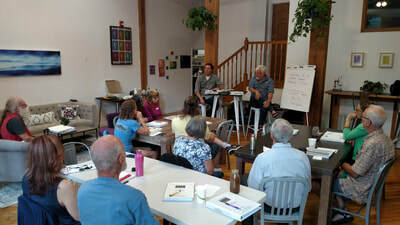 CONCORD, NH - NHCRN and CELDF partnered to host the Daniel Pennock Democracy School, which informs residents and activists how to reframe exhausting and often discouraging single issue work (such as opposing fracking, pipelines, additional fossil fuel infrastructure, food sovereignty, election integrity, waste management practices, and so many more) in a way that they can confront corporate control and state interference on a powerful single front: people’s and nature's inalienable rights. Informed decision-making is one of the most powerful steps towards change we can make! Who Owns Our Water? 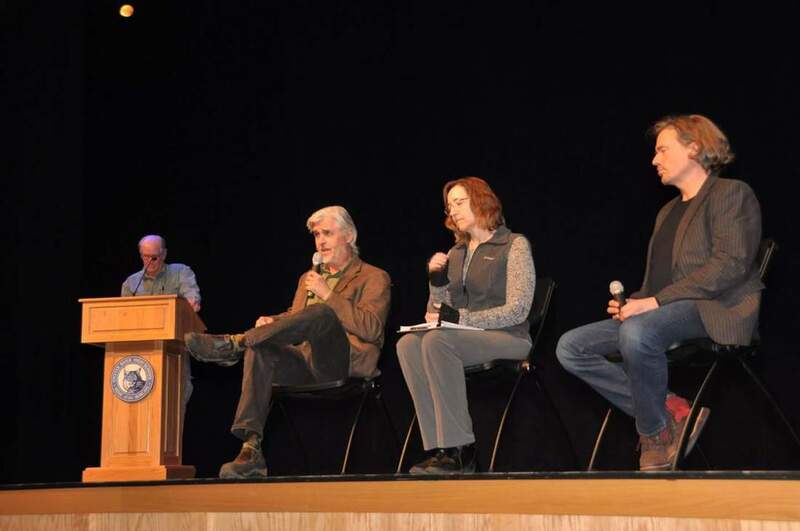 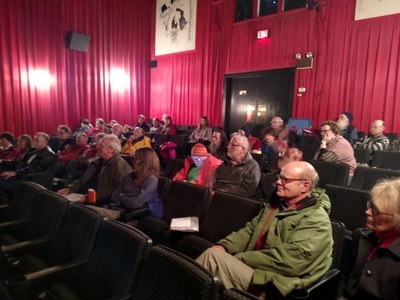 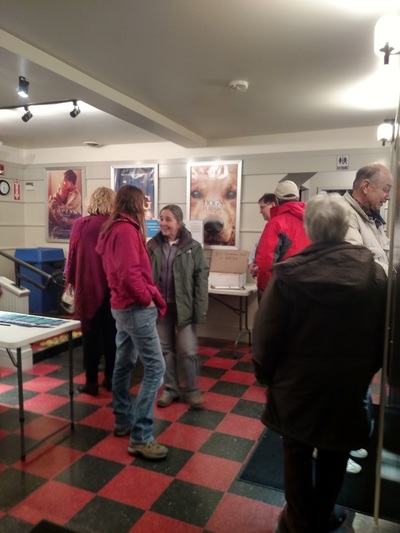 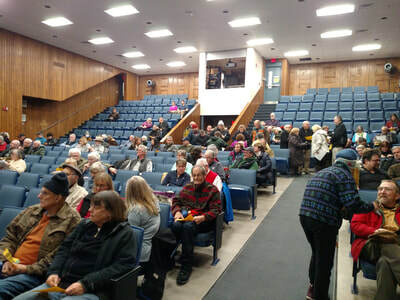 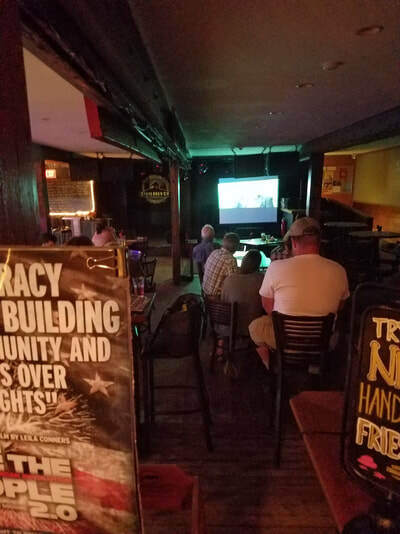 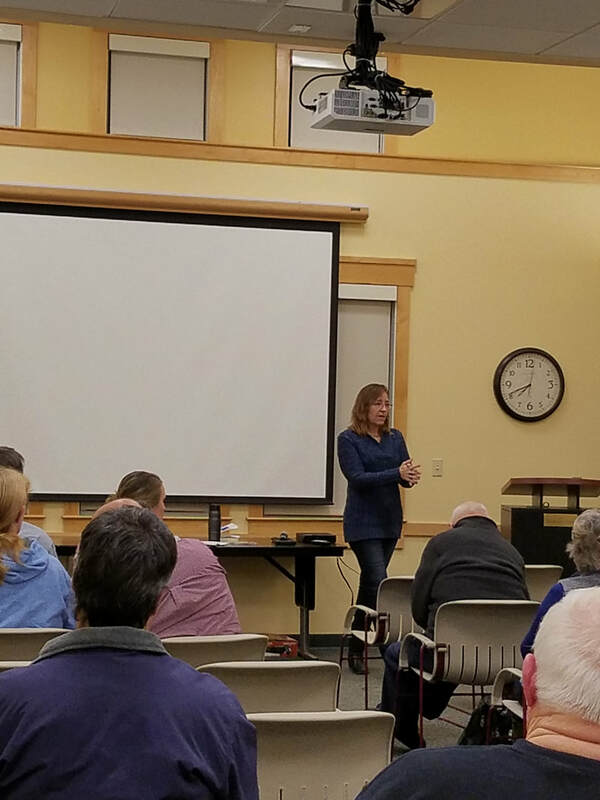 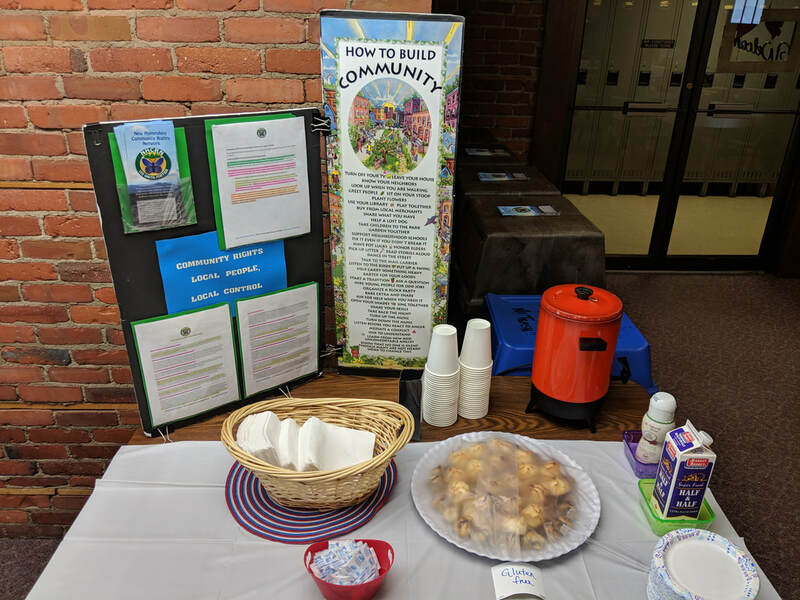 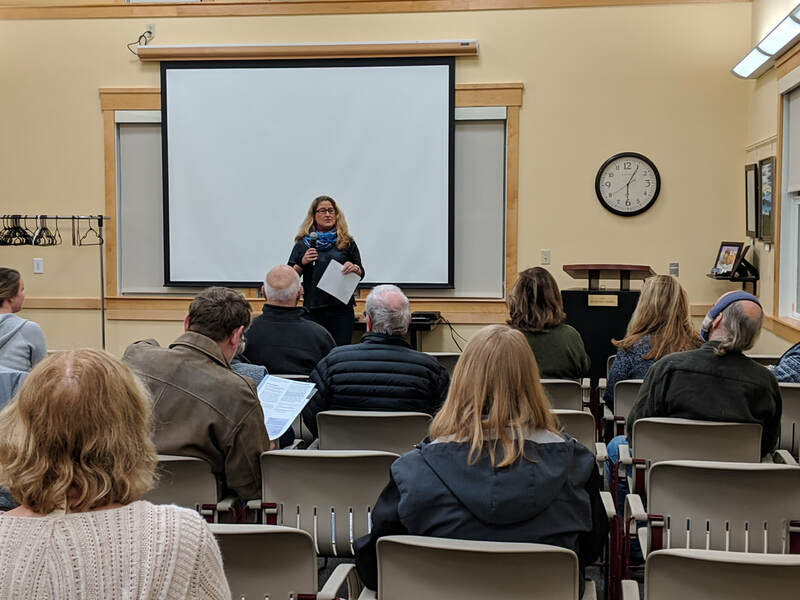 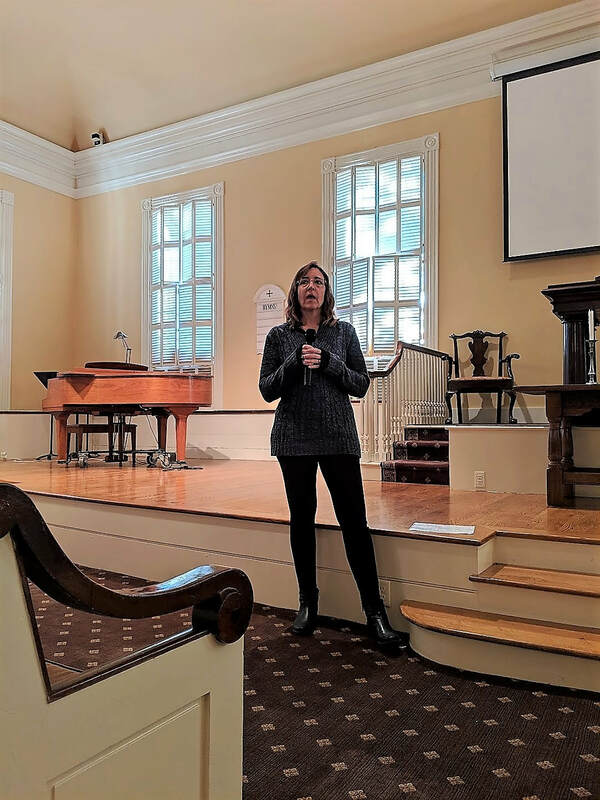 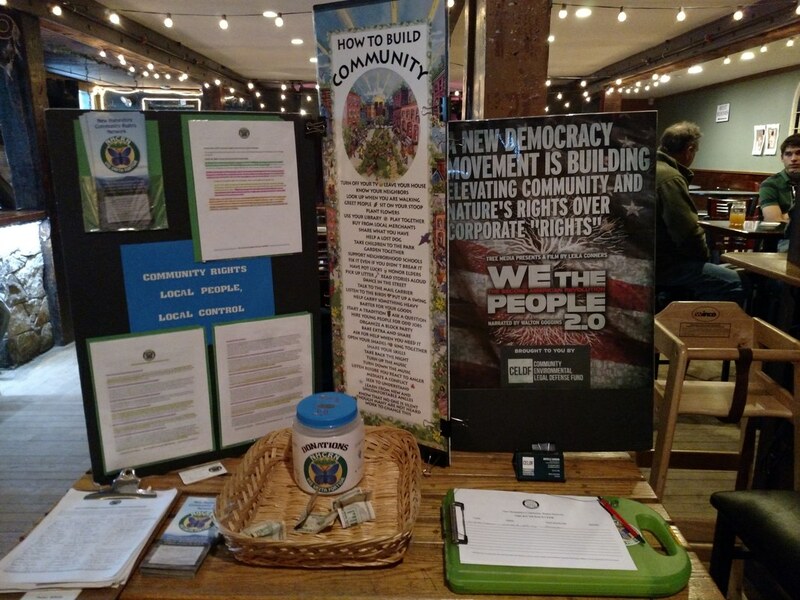 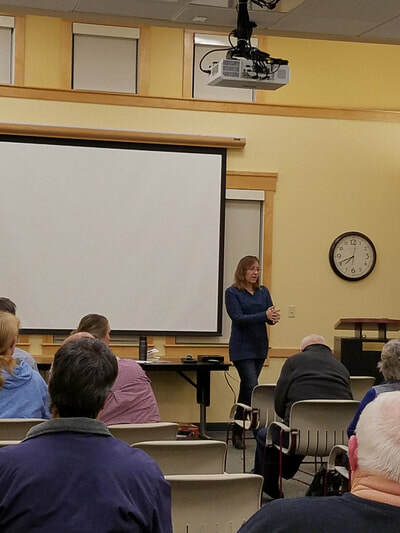 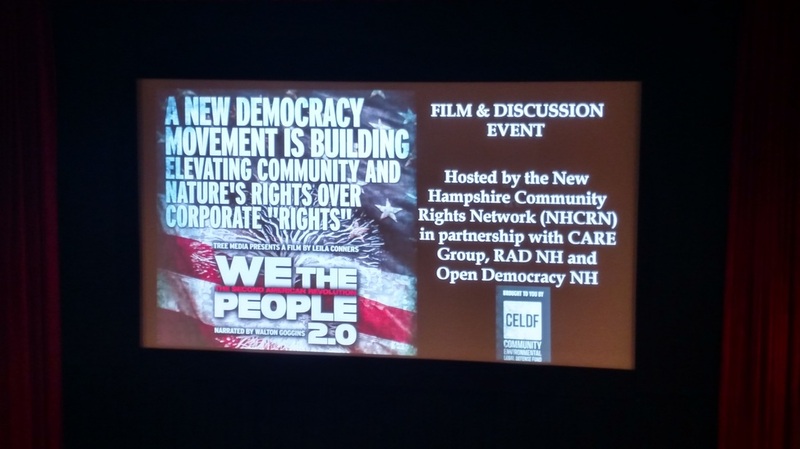 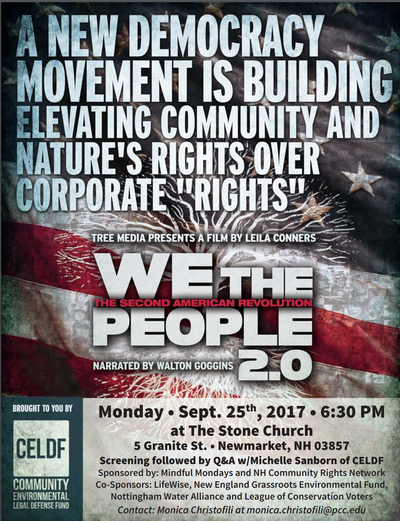 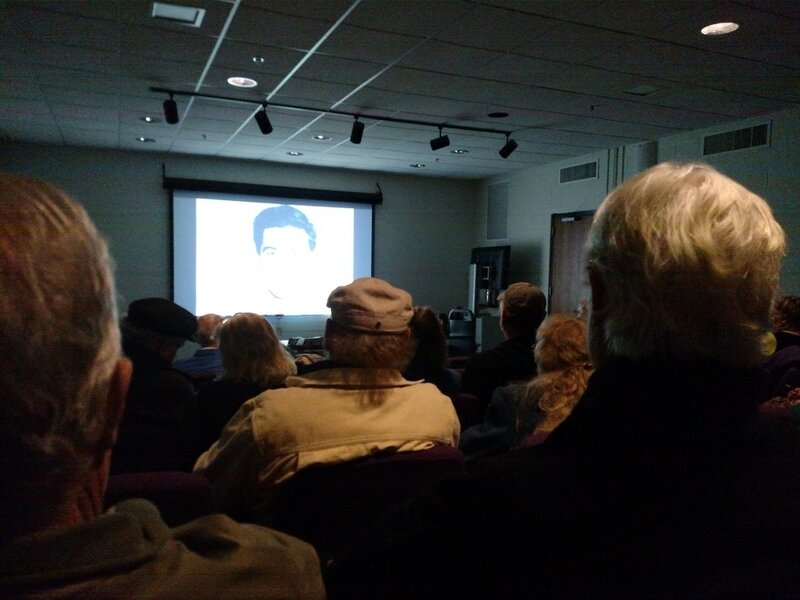 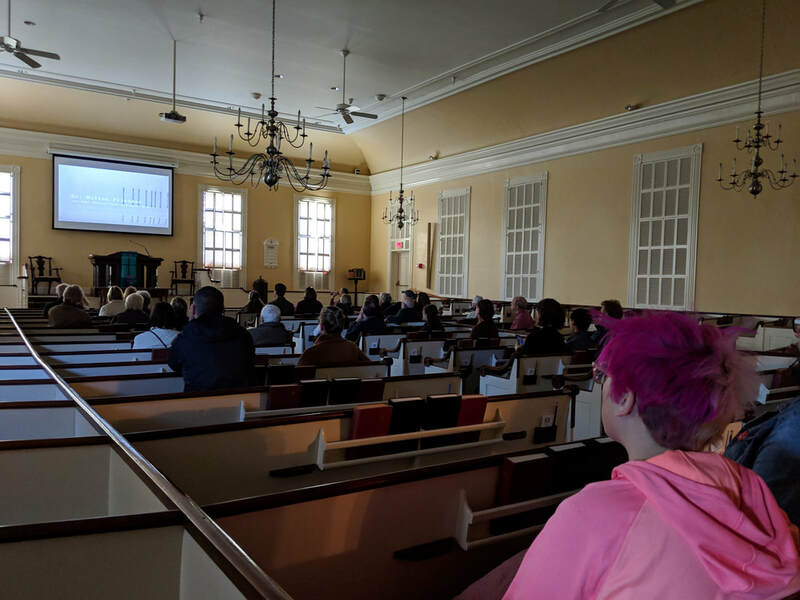 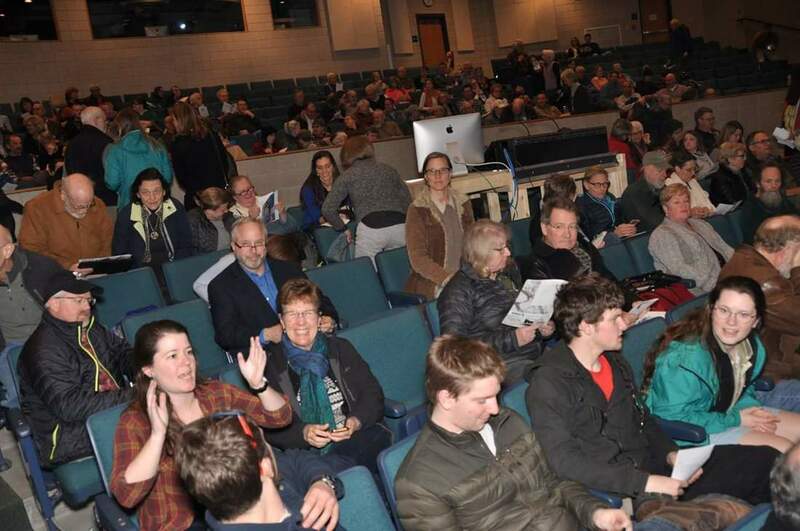 NHCRN co-hosted with Atkinson area residents a film screening of We the People 2.o followed by discussion exploring the structure of government and law that empowers privatization of our water sources and what communities across the U.S. and in NH are doing about it. 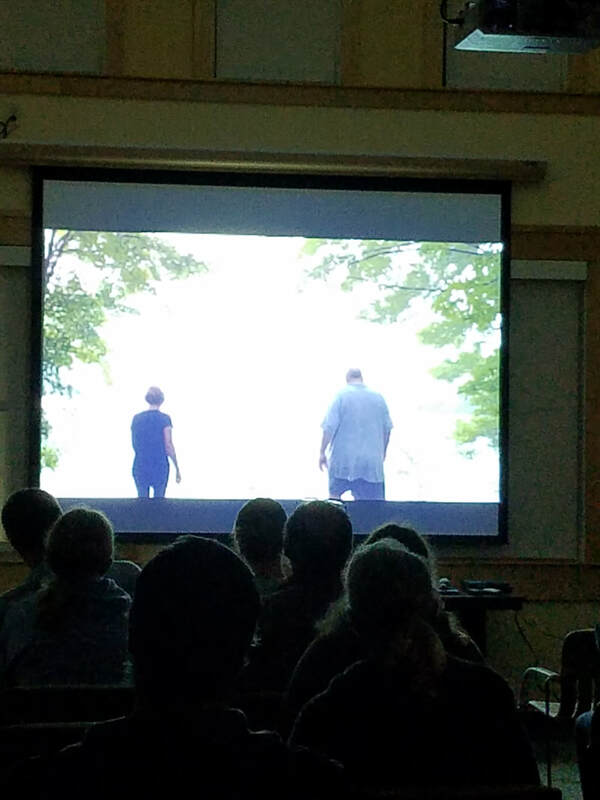 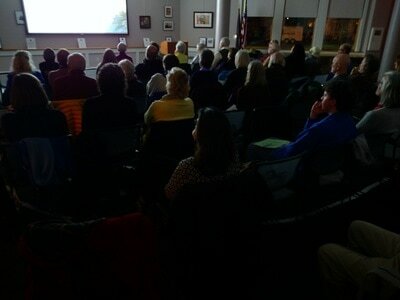 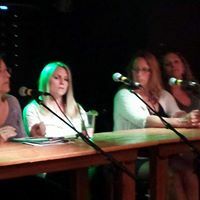 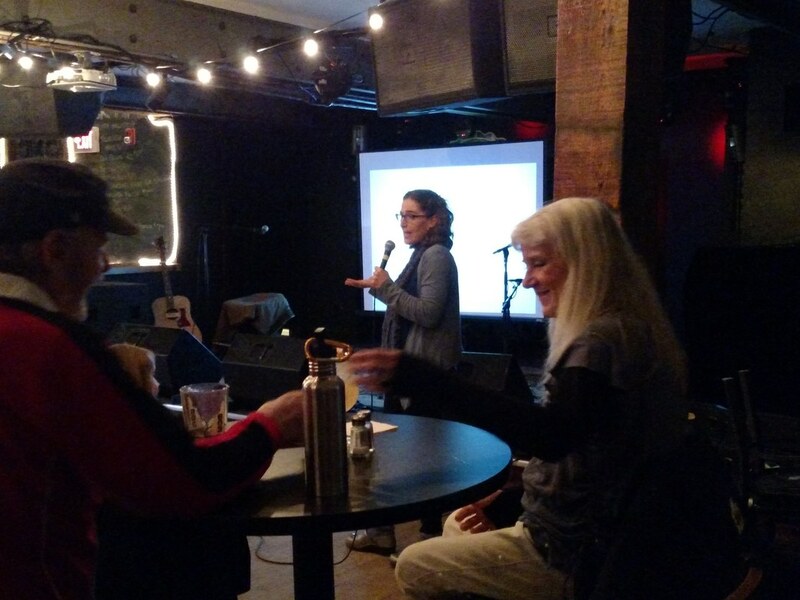 The NHCRN co-hosted this pre-release screening of Invisible Hand with 350NH in support of Citizen Action for Exeter's Environment. 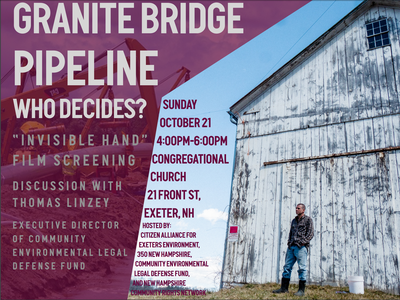 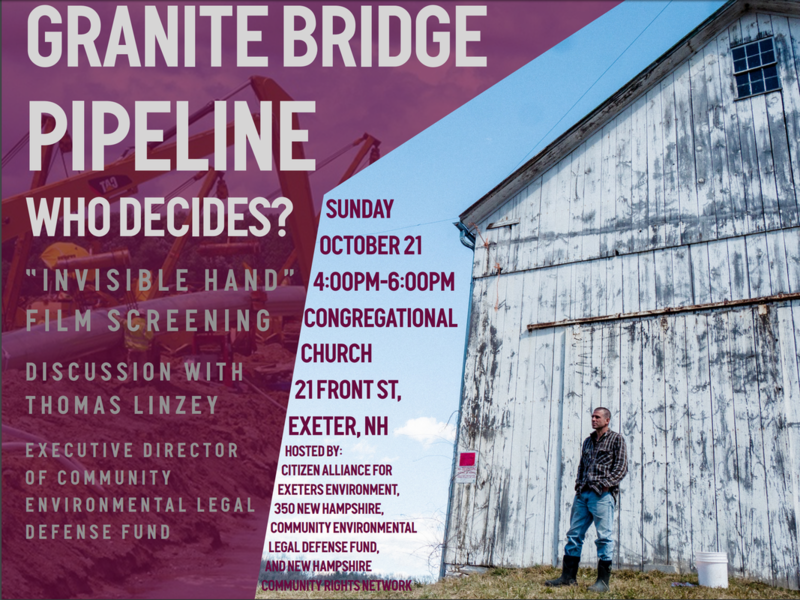 Communities in NH and PA and beyond are joining forces to resist corporate harms like Liberty Utilities' proposed Granite Bridge Pipeline. 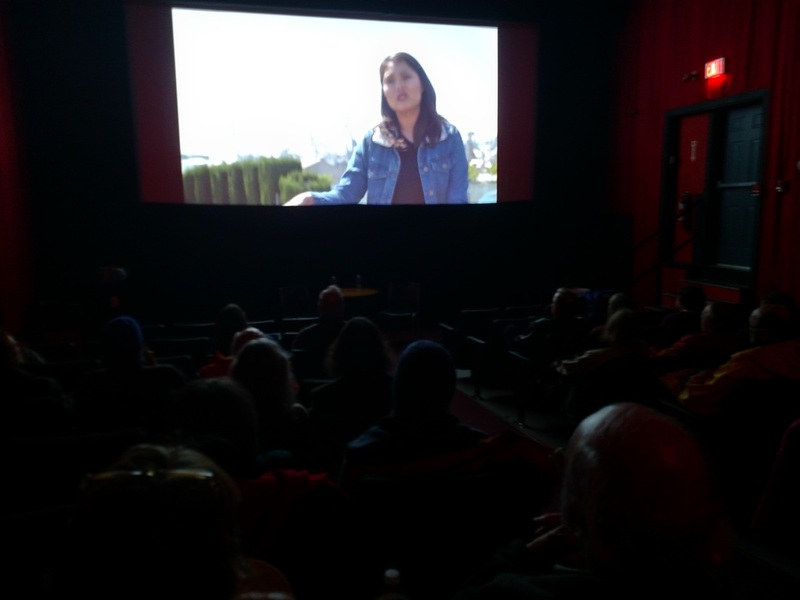 Invisible Hand takes you inside the struggle behind the curtain of our daily resistance to the fossil fuel industry to reveal a new future for people and nature. 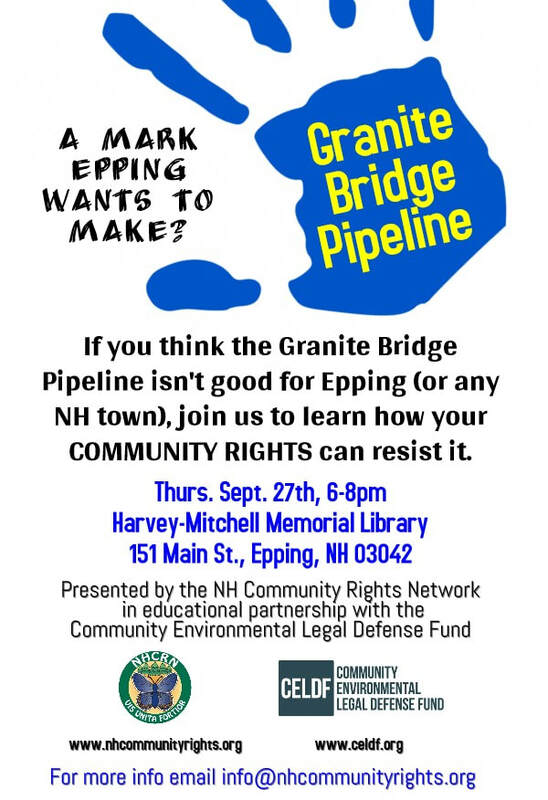 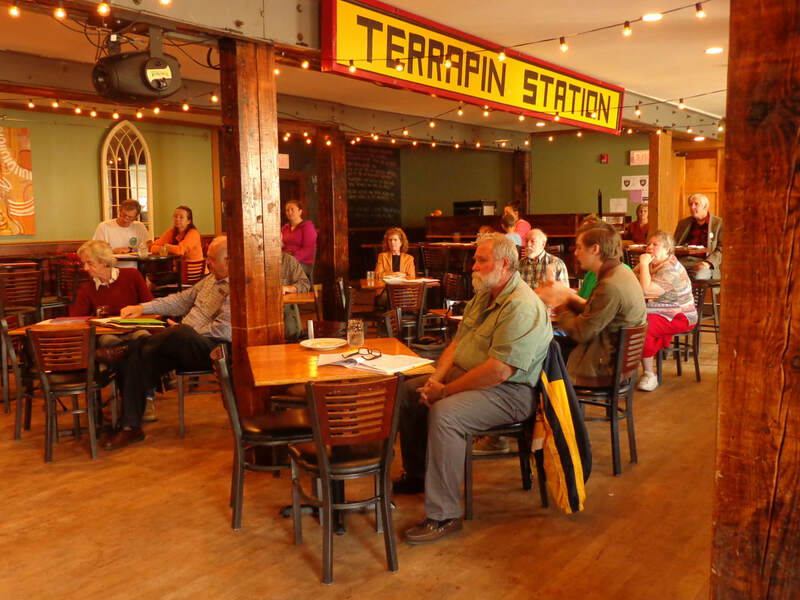 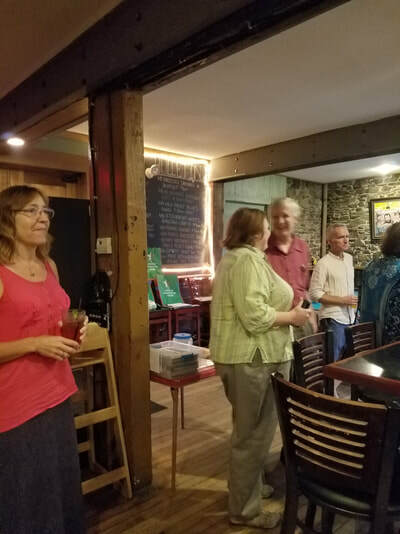 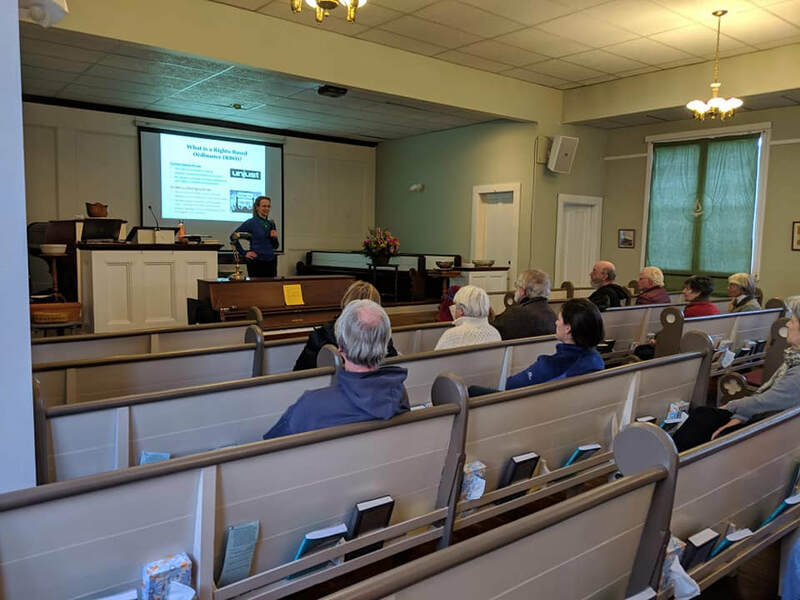 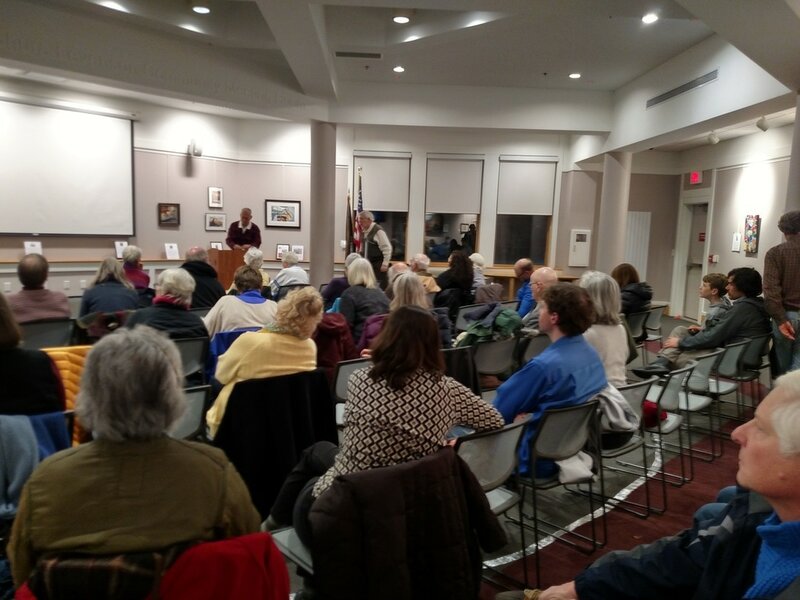 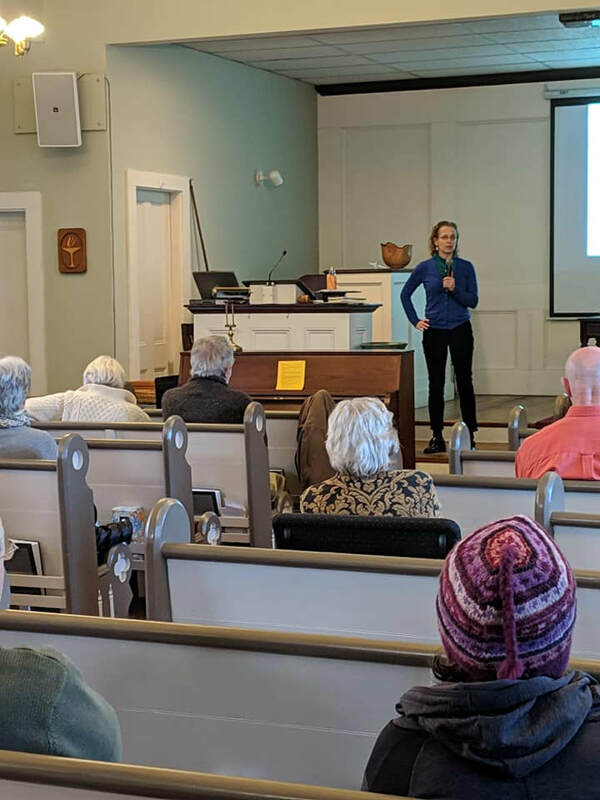 NH residents attend an evening presentation by NHCRN - in educational partnership with the Community Environmental Legal Defense Fund (CELDF), illuminating how an RBO movement could be effectively asserted in each town that would be affected by the Granite Bridge project. 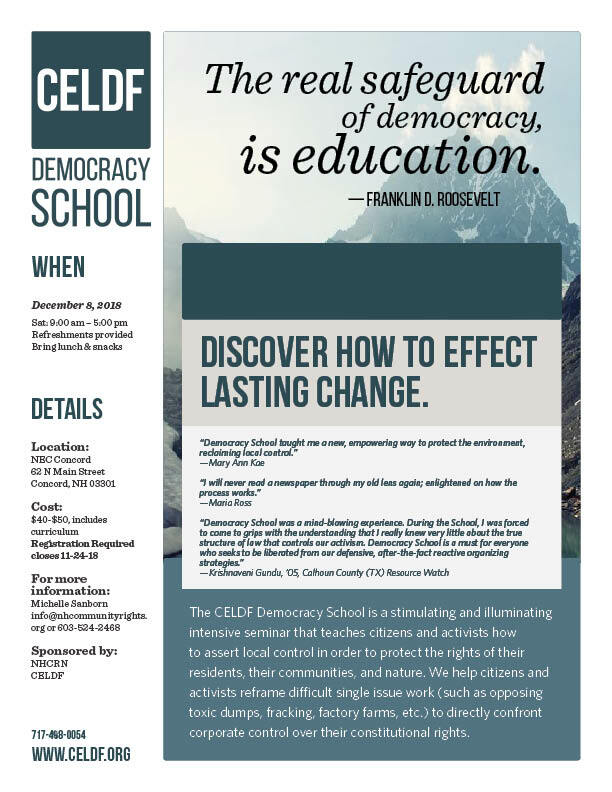 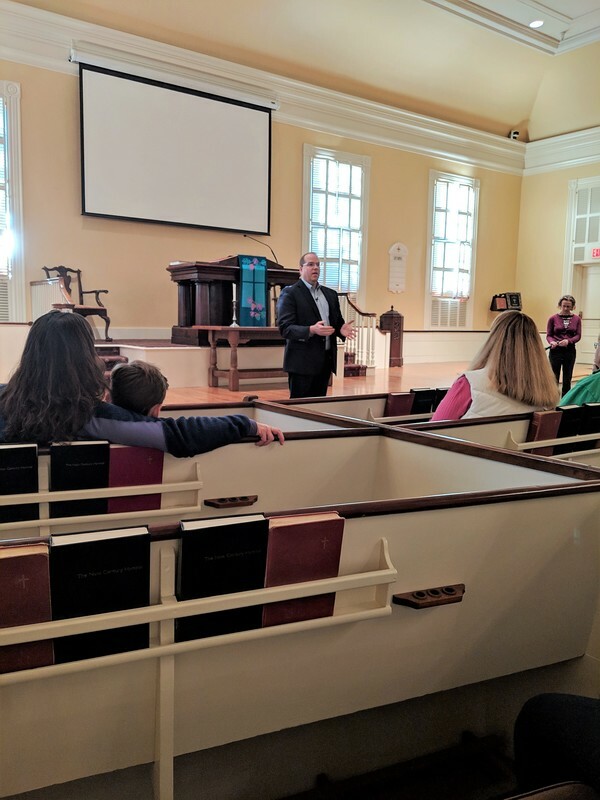 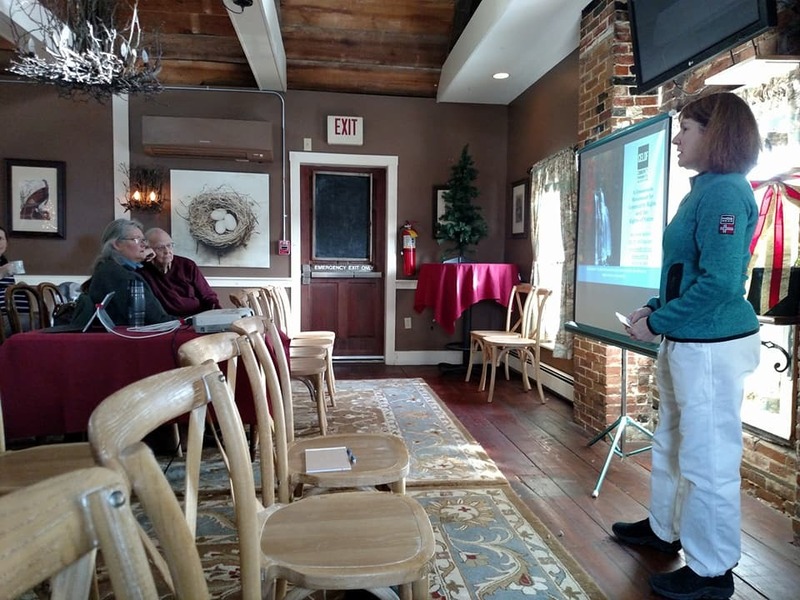 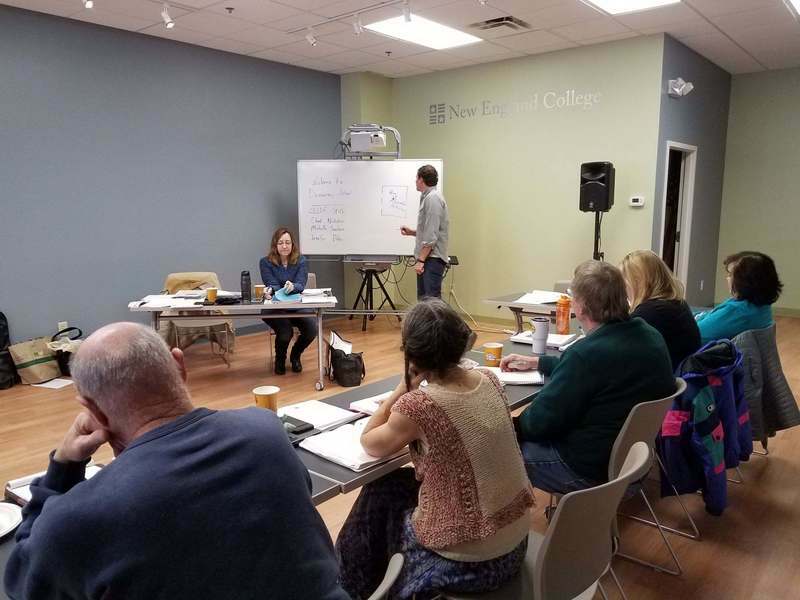 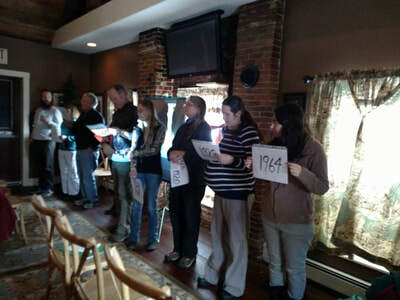 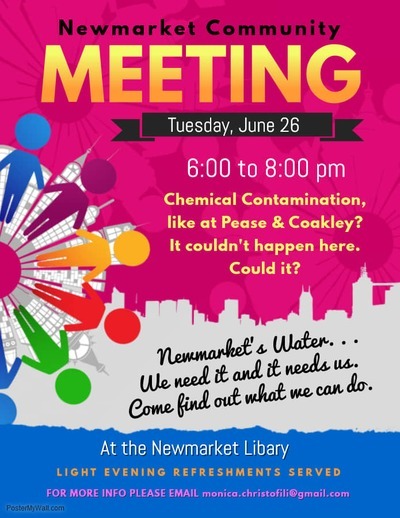 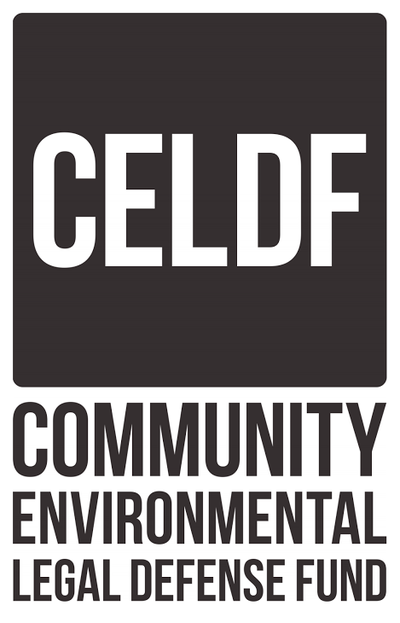 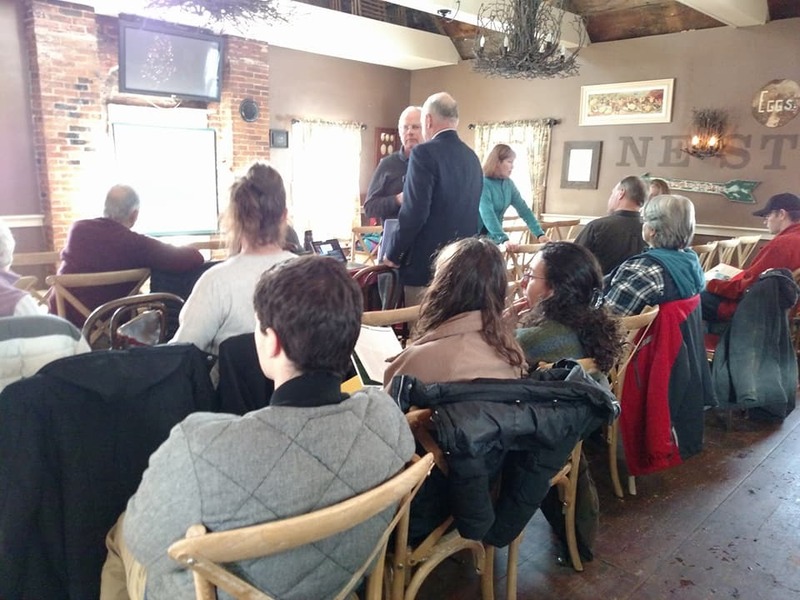 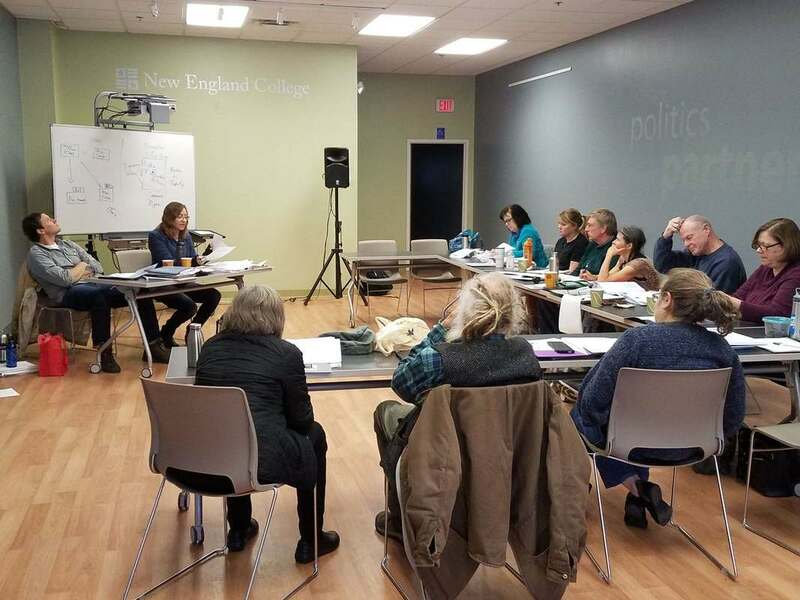 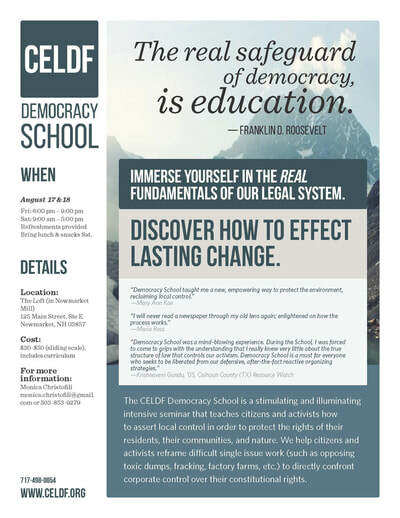 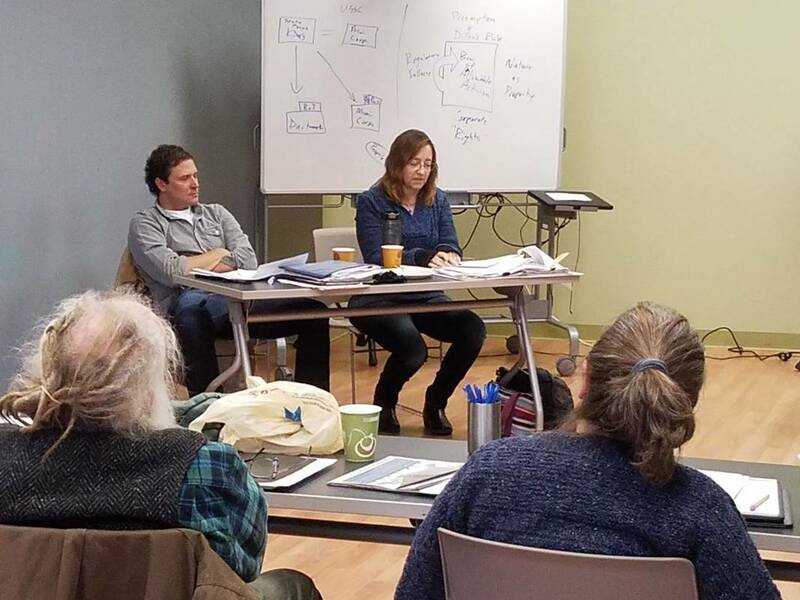 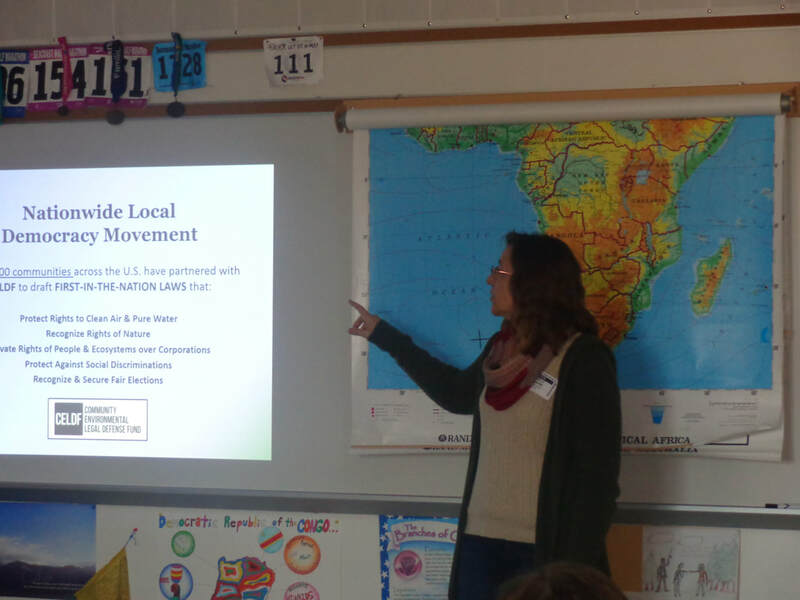 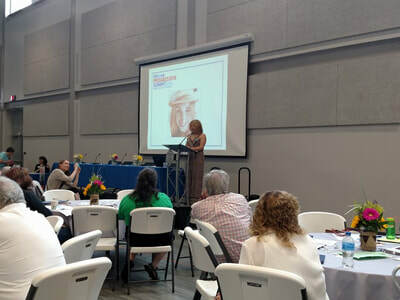 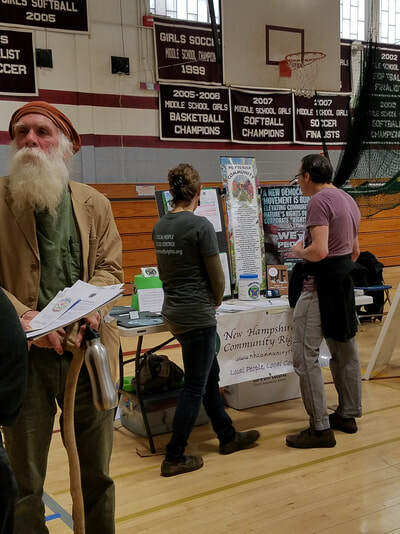 NHCRN sponsors CELDF's Daniel Pennock Democracy School in collaboration with Newmakert townspeople - Newmarket community members are organizing to protect groundwater, waterways, and estuaries with their Freedom from Chemical Trespass ordinance drafted with CELDF's assistance. 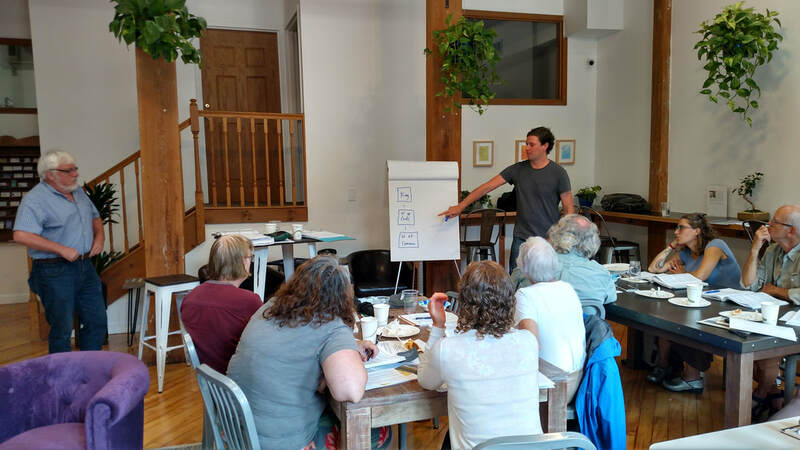 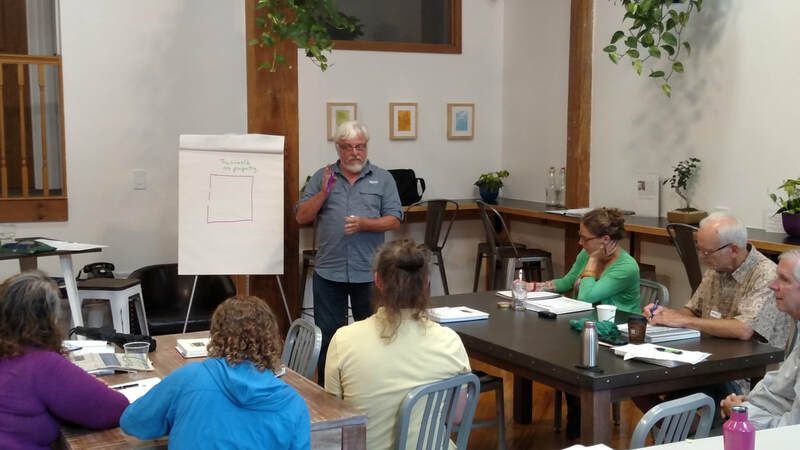 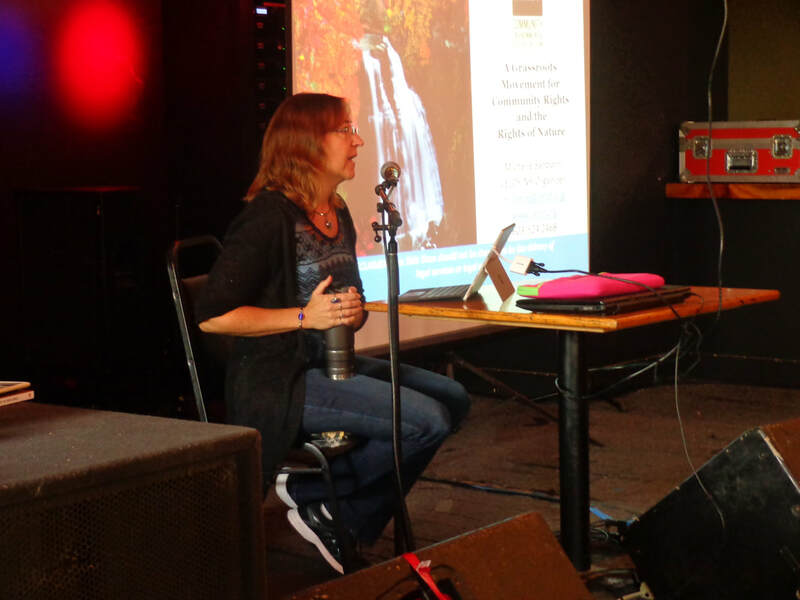 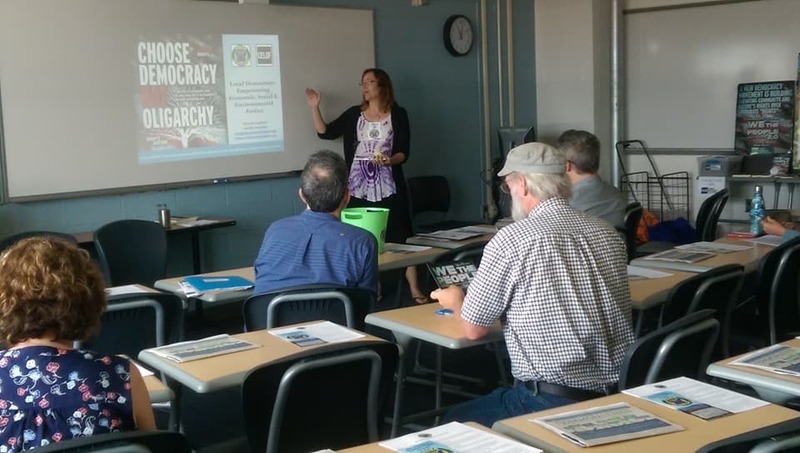 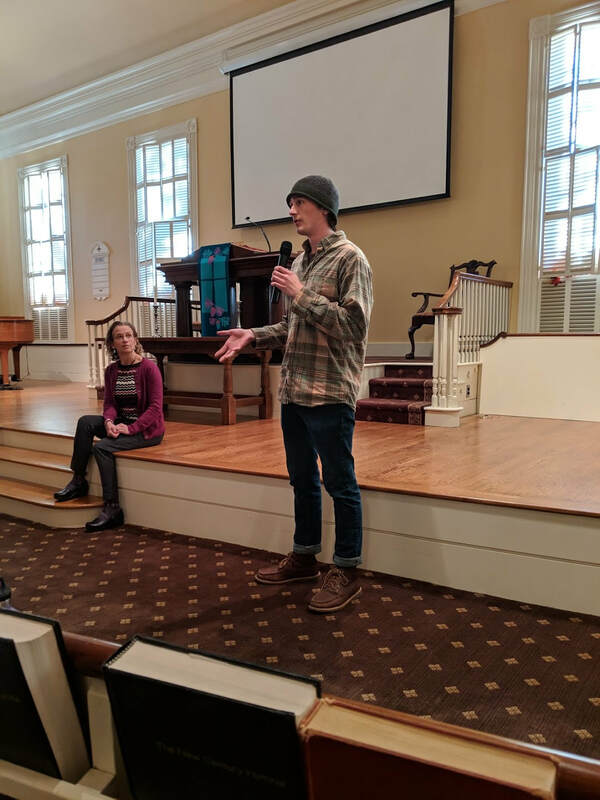 As part of their grassroots organizing and education, they hosted the Daniel Pennock Democracy School, which teaches residents and activists how to reframe exhausting and often discouraging single issue work (such as opposing fracking, pipelines, GMOs, etc.) 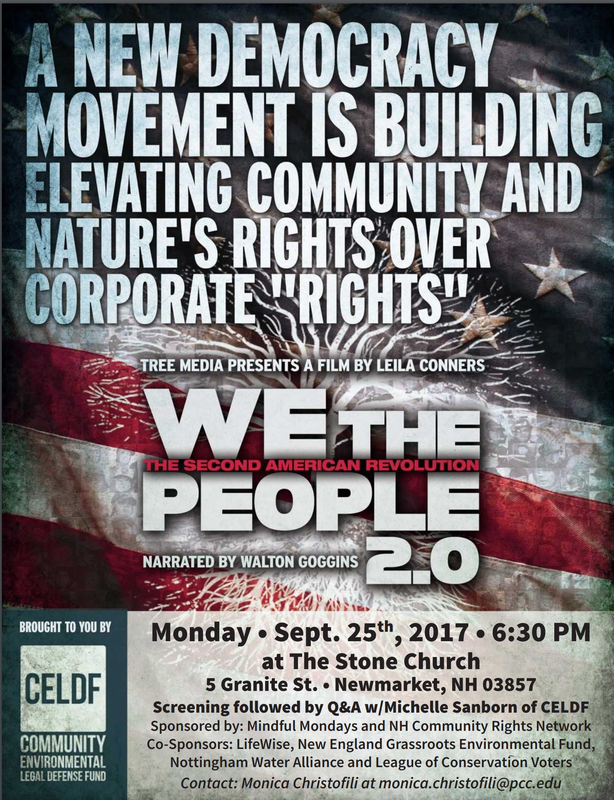 in a way that they can confront corporate control and state preemption on a powerful single front: people’s inalienable rights. 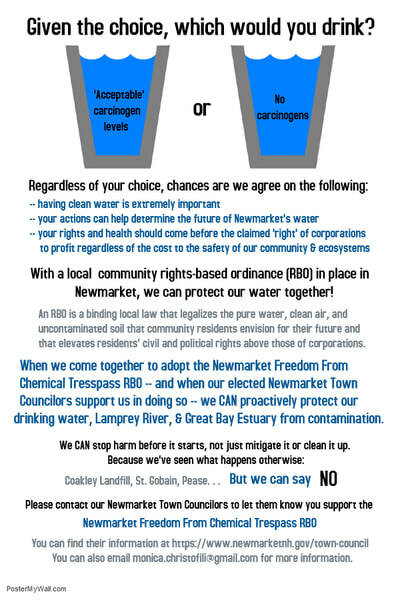 NHCRN supporting ANCER's Community Rights educational event to prevent chemical trespass in Newmarket's groundwater, waterways, and the Great Bay with a Rights-based Ordinance. 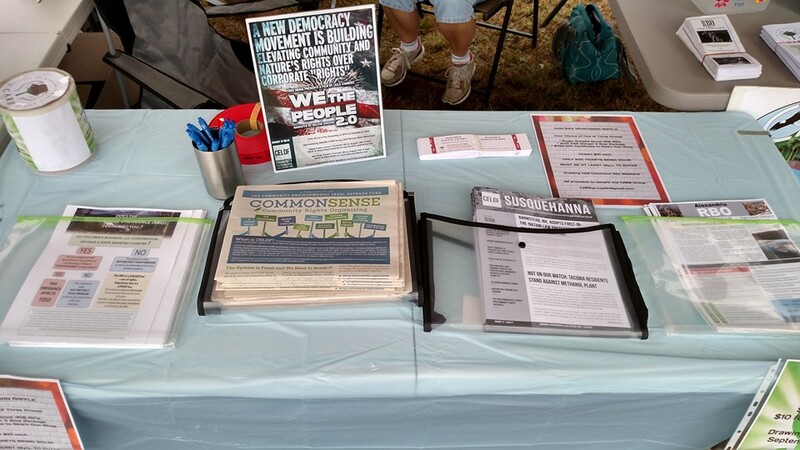 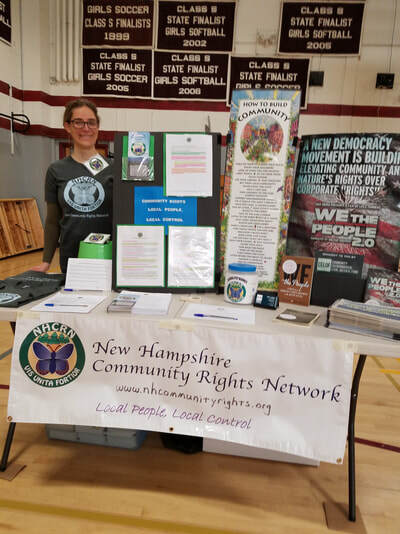 Tabling at the Souhegan Sustainability Fair in Wilton, NH - Educational materials and NHCRN swag! 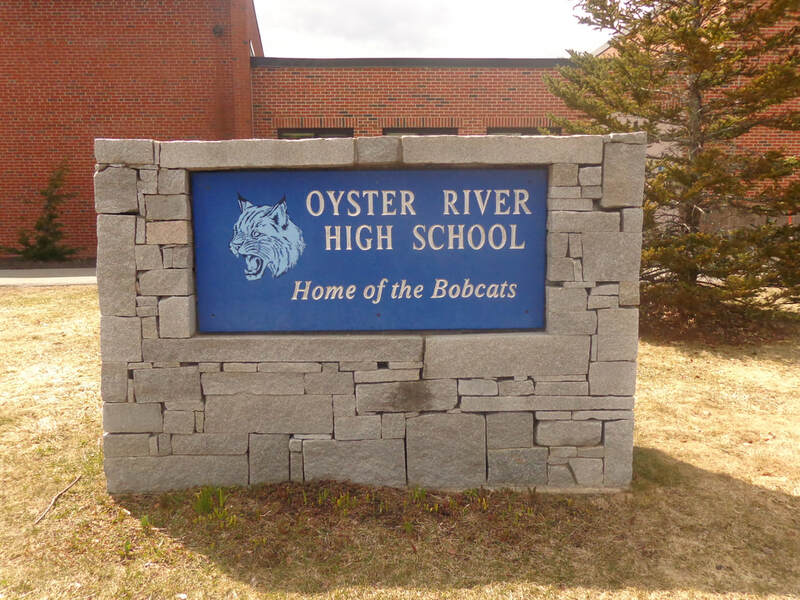 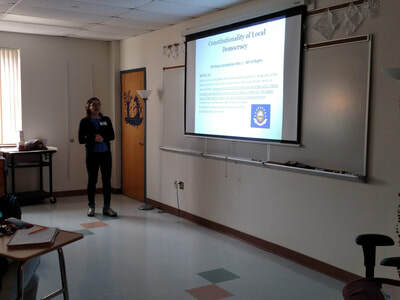 NHCRN teaching about Local Democracy & Rights of Nature at Oyster River High School. 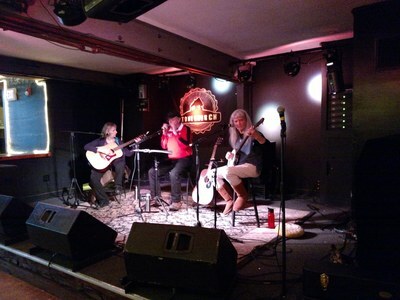 Benefit show for the NH Community Rights Network with Oak & Ivy - Along with supporting local governance efforts, NHCRN educates communities and legislators on the need to amend our NH Constitution's Bill of Rights so that it recognizes, secures, and protects our local and democratic decision-making authority to determine what happens in our communities regarding social and environmental issues that affect the health, safety, and well-being of our human and natural environments--all while maintaining the fundamental rights of residents in these communities. 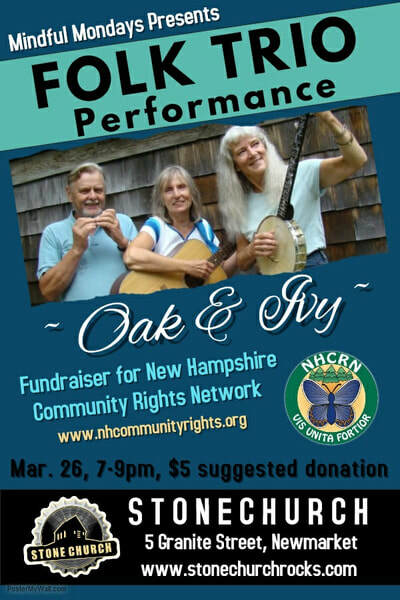 Come out to enjoy a great show that will benefit people and planet, our local ability to protect both, and the community rights movement working on all this! 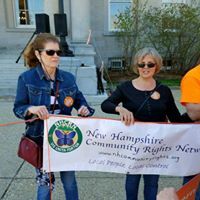 The NH Community Rights Amendment - The right of local community self-government includes three components – first, the right to a system of government within the local community that is controlled by a majority of its citizens; second,the right to a system of government within the local community that secures and protects the civil and political rights of every person in the community; and third, the right to alter or abolish the system of local government if it infringes those component rights. 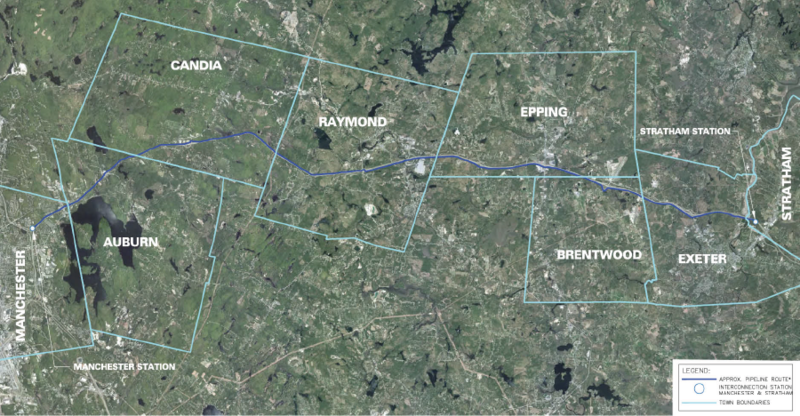 PLYMOUTH, NH residents have adopted an RBO giving them the authority to ban Northern Pass from building within town borders. 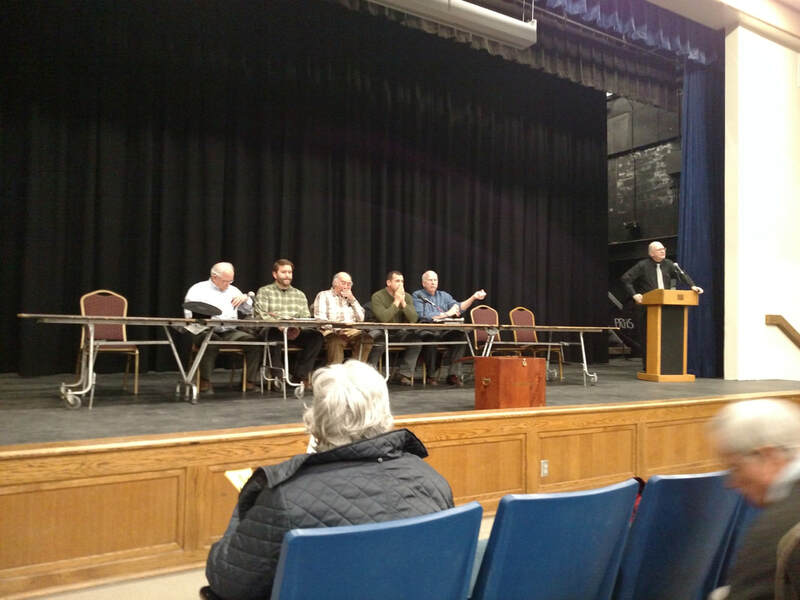 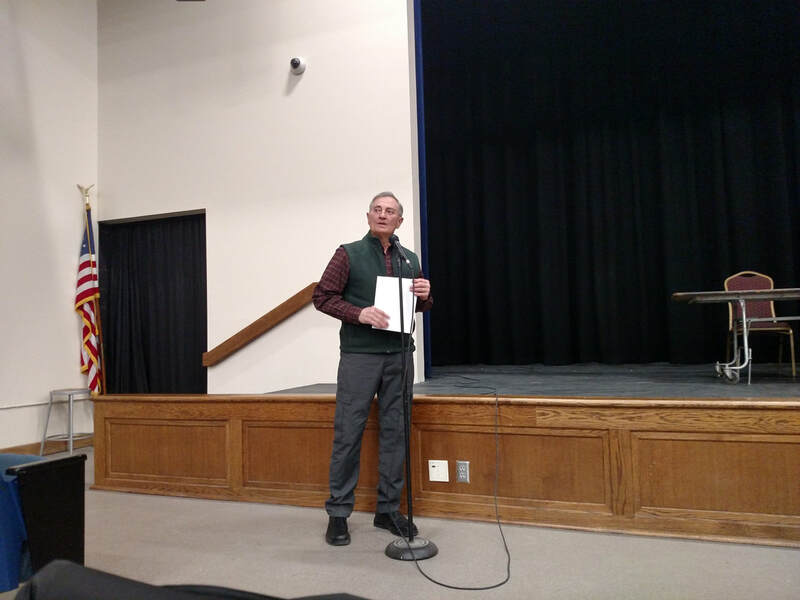 During a special town meeting on Thursday, residents voted by secret ballot 132 to 19 to adopt a Community Rights-Based Ordinance designed to strip legal power from corporate entities that seek to force unwanted activities on a town. 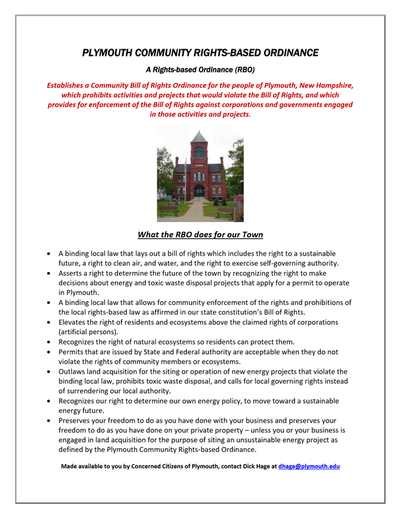 Why an RBO? - Community Rights Workshop in Ashland - Great turnout for the Community Rights Workshop in Ashland. 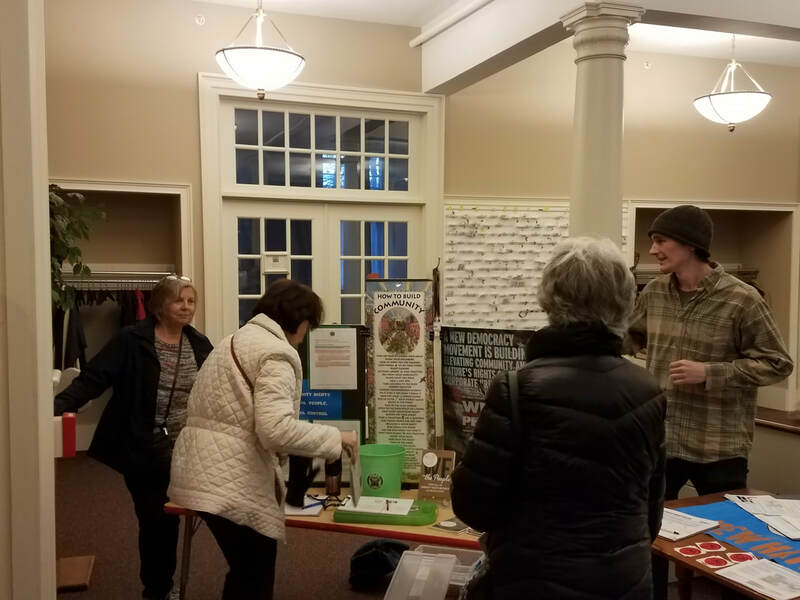 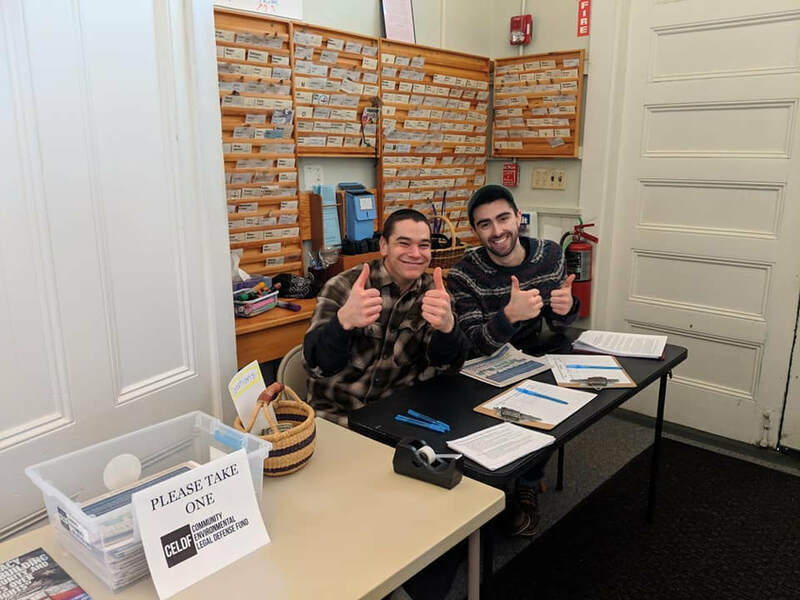 The Ashland Residents For A Rights-Based Ordinance (ARRBO) are moving forward to petition a rights-based ordinance to elevate the right of the people of Ashland to protect their health, safety and welfare. 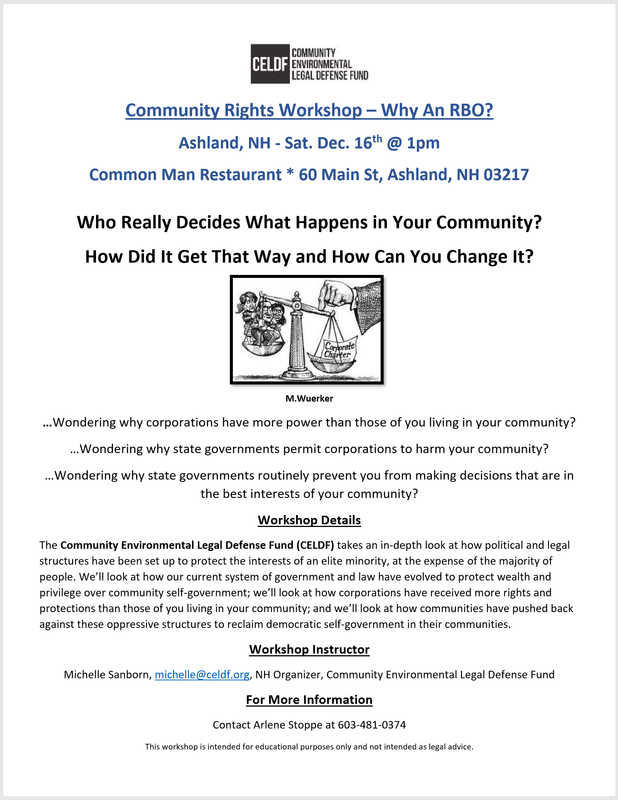 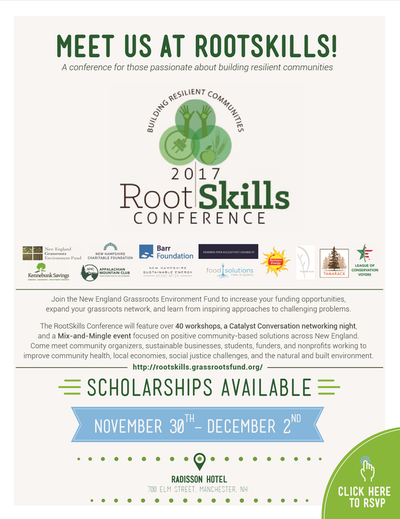 Community Rights Workshop at NEGEF's RootSkills Conference-serving president of NHCRN and CELDF's community organizer for New Hampshire, Michelle Sanborn, presented a Community Bill of Rights workshop at the New England Grassroots Environmental Fund (NEGEF) RootSkills Conference in Manchester, NH on Friday, December 1st. 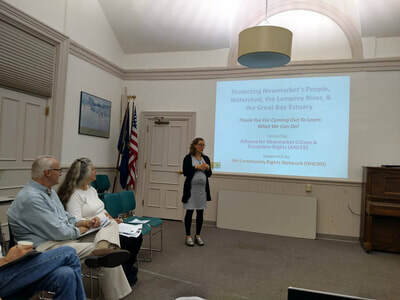 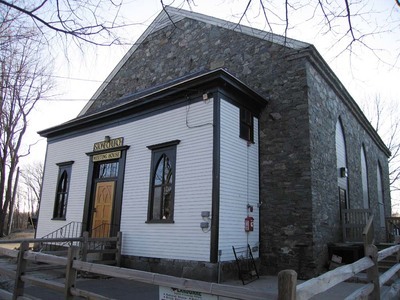 Newmarket Community Rights Awareness Workshop - Seacoast resident, Monica Christofili, helps to organize the Mindful Mondays events at the Stone Church in Newmarket, and now seeks to bring together residents from the region to learn more about what their community can do to protect the people and places surrounding the Coakley Superfund Site, Pease Air Force Base, and quality of our water. 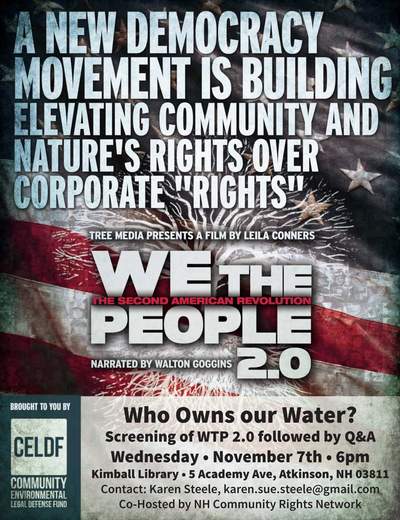 Mindful Mondays Host Screening of We the People 2.0 - Tree Media's We the People 2.0, a documentary featuring the Community Environmental Legal Defense Fund's (CELDF) work to support communities across the country in their enactment of Rights Based Ordinances (RBOs) to protect their quality of life by way of protecting the rights of nature. 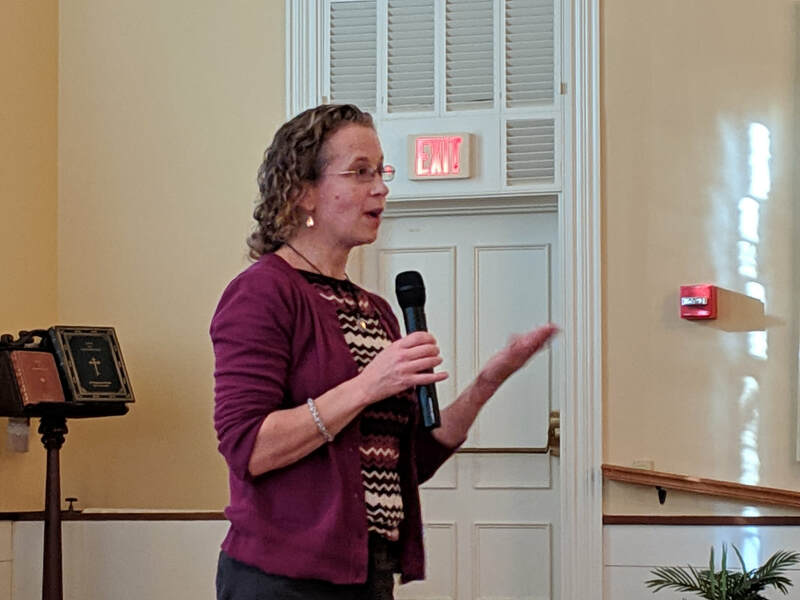 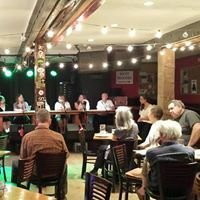 Q&A followed with CELDF's NH Community Rights Organizer to discuss how CELDF and the NH Community Rights Network can help establish RBOs in YOUR town! 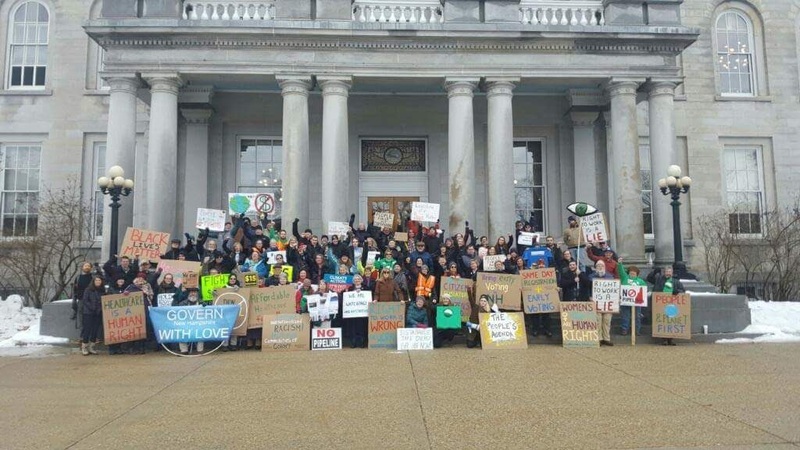 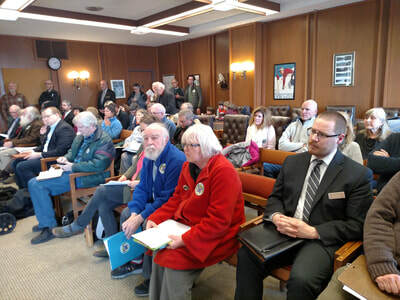 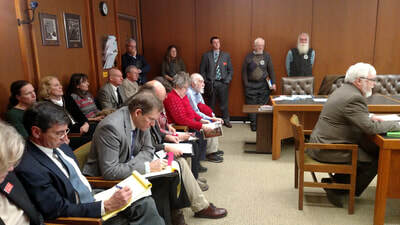 Such RBOs have been passed in communities right here in NH by people who have decided to take hold of their constitutional right to assemble to legally confront and block the revolving door of permitting and regulation that continues to allow industry to pollute our air, waters, and lands. 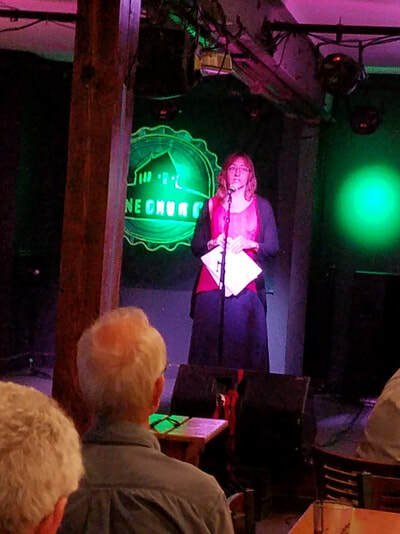 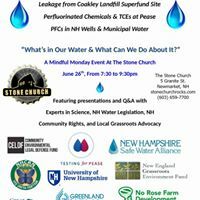 Mindful Mondays @ the Stone Church, Newmarket NH - Panelists from eleven organizations explored water quality issues in the Seacoast area. 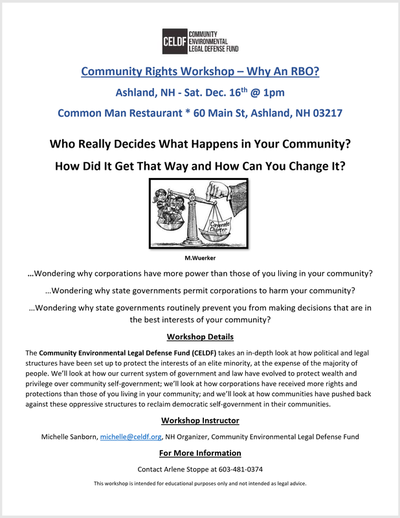 Michelle Sanborn - NH Community Organizer for Community Environment Legal Defense Fund sharing 1) how CELDF has assisted NH communities in asserting their rights to stop harmful projects and 2) why the grassroots effort of the NH Community Rights Network seeks to amend the NH Constitution to recognize, secure, and protect Community Rights throughout the state. 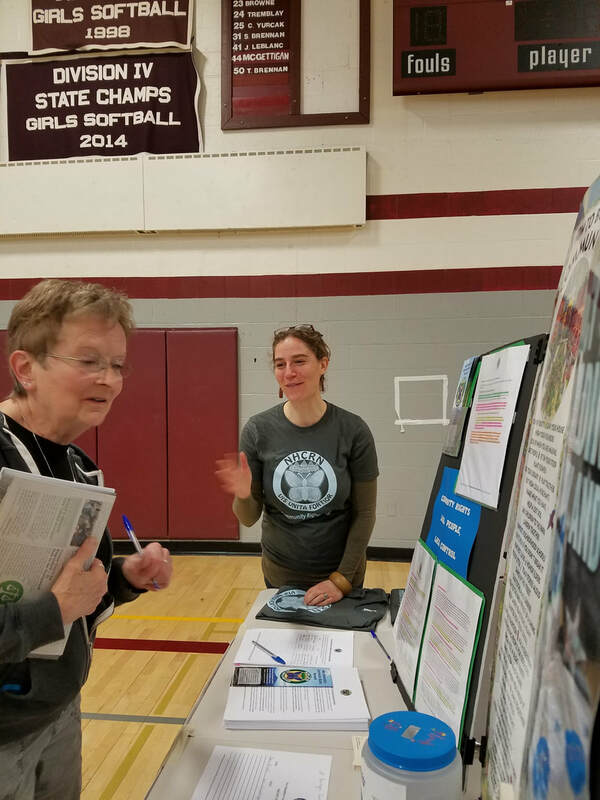 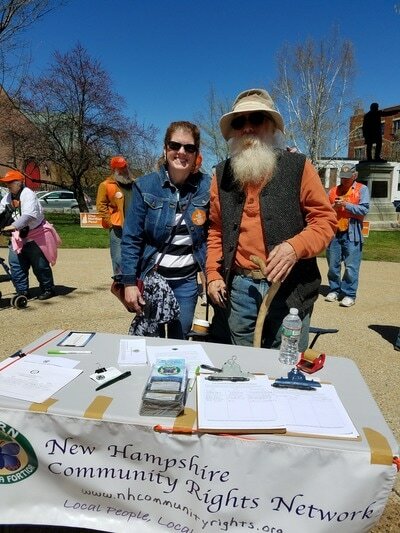 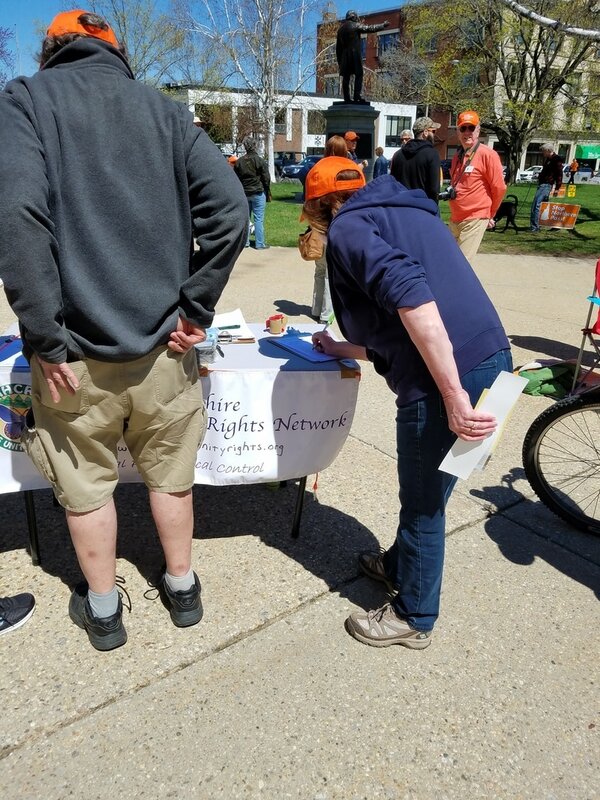 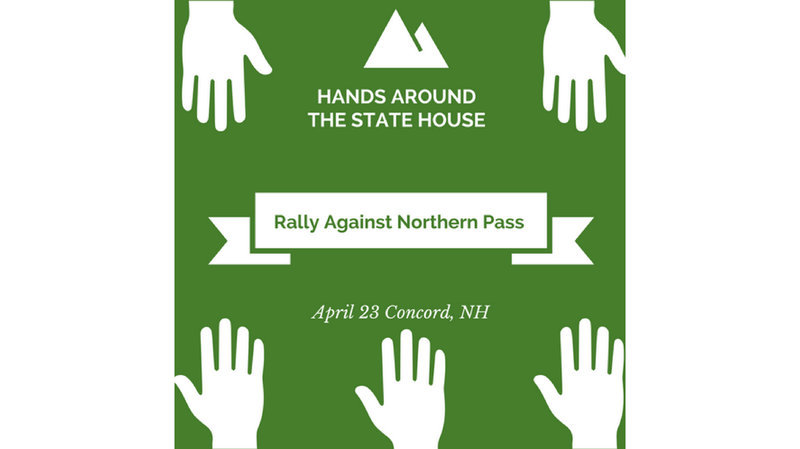 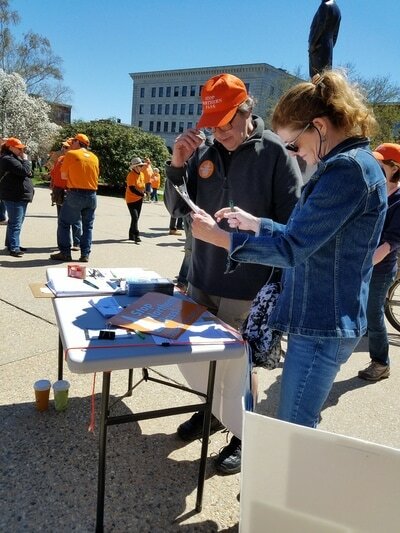 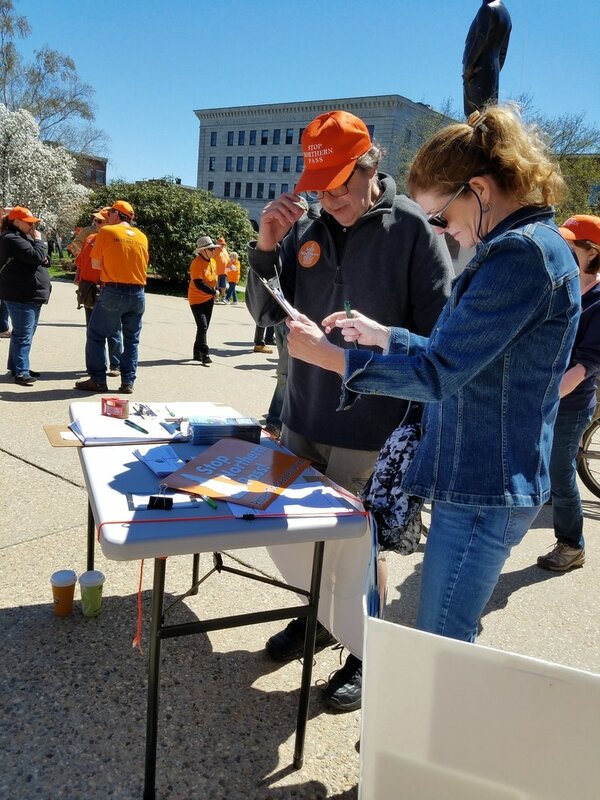 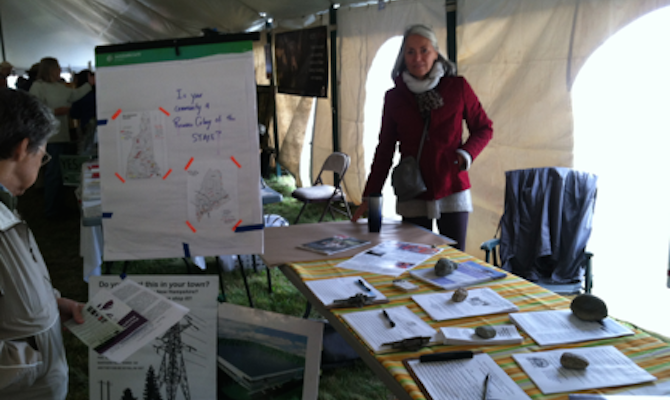 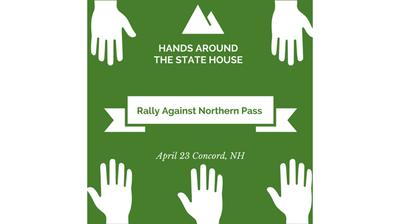 NHCRN at the NP Rally - educating Northern Pass residents about local governing authority to decide what happens where they live. ​I Voted? 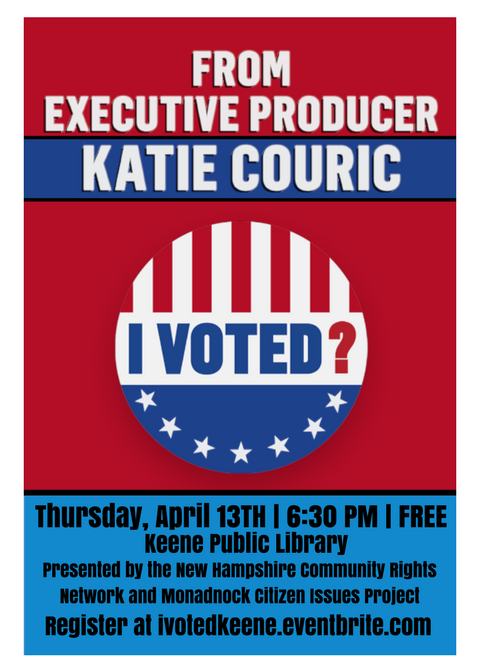 Screening in Keene, NH - How do you know your vote counts? The answer is both surprising and disturbing. 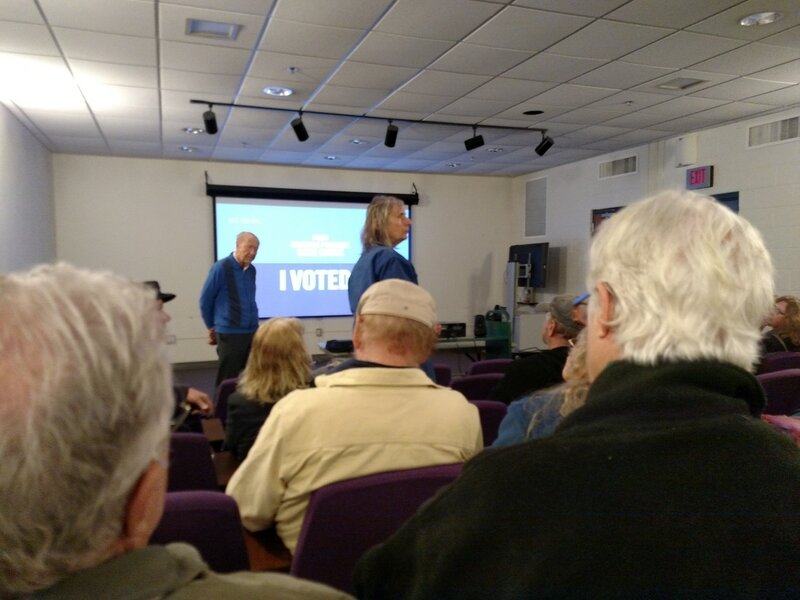 Filmmaker Jason Grant Smith provides an in-depth examination of American election integrity. 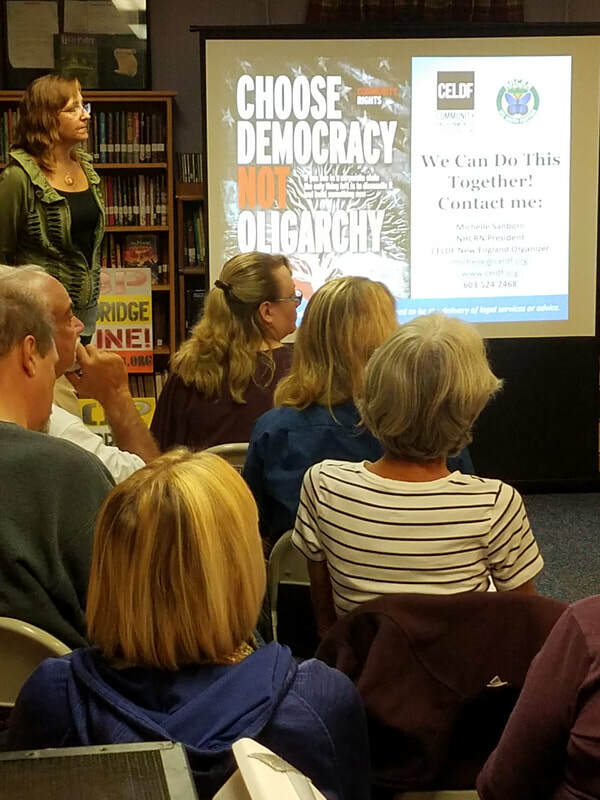 While democracy does not begin with elections, it can end when we fail to defend them. 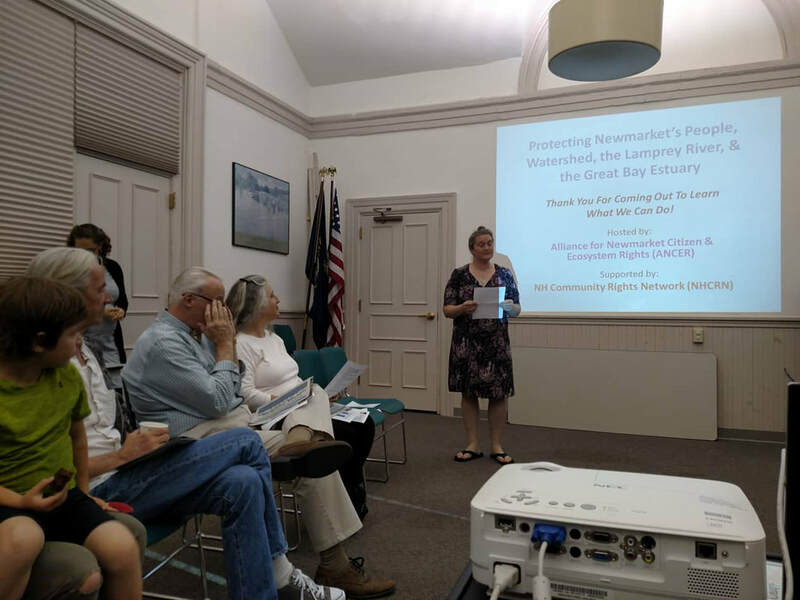 Great Bay: An Estuary in Peril - Premiere! Many residents in the estuary's 52 town wide watershed are unaware of the challenges facing Great Bay. 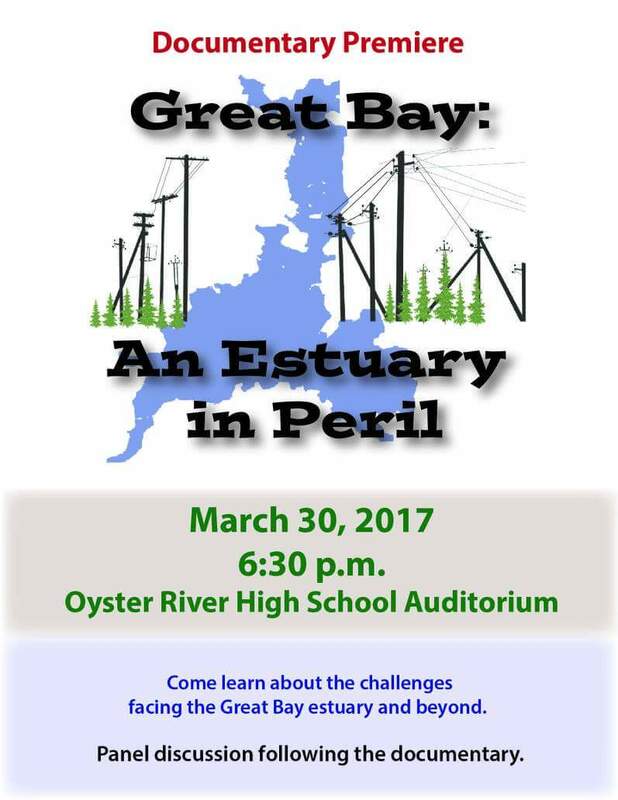 The bay needs a voice and an informed community is one that plays an active role in protecting its resources, health and survival. 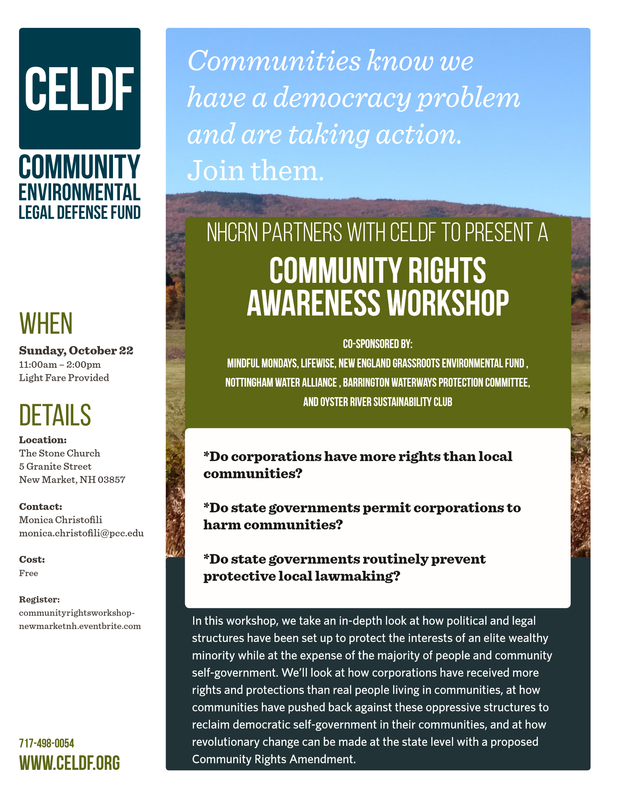 Michelle Sanborn of the NH Community Rights Network (NHCRN) and Community Environmental Legal Defense Fund (CELDF) is one of the panelists, invited to discuss a "CALL TO ACTION" to protect the health, safety and welfare of both human and natural communities in the face of the Seacoast Reliability Project threatening the region. 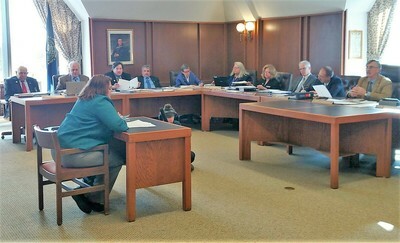 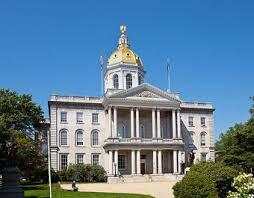 NHCRN Supported SB 109 - Authorizing Town Moderators to verify the accuracy of machine-counted votes. With a voice vote, the NH Senate did not support the measure. 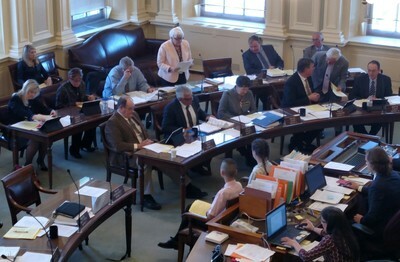 We appreciate those Senators that supported our voting rights.